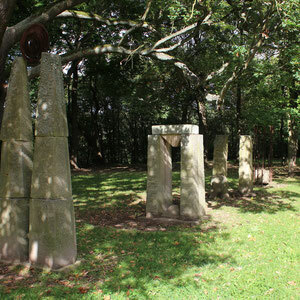 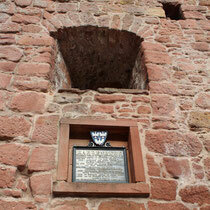 This was my second visit to these landmarks - the first took place last year in October. Both are located on hills near Bad Duerkheim - a town mostly known for the biggest wine fest as well as the largest wine barrel in the world. 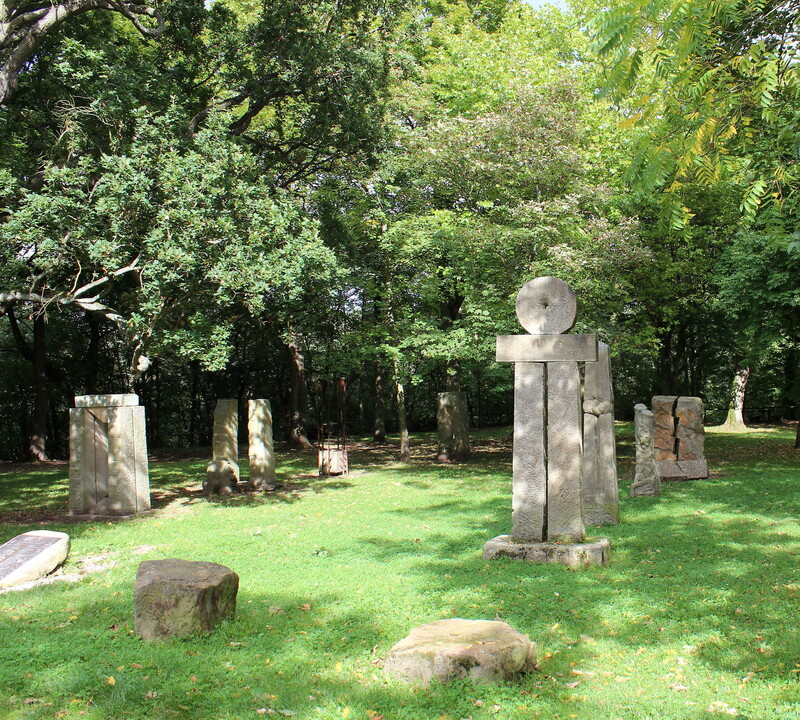 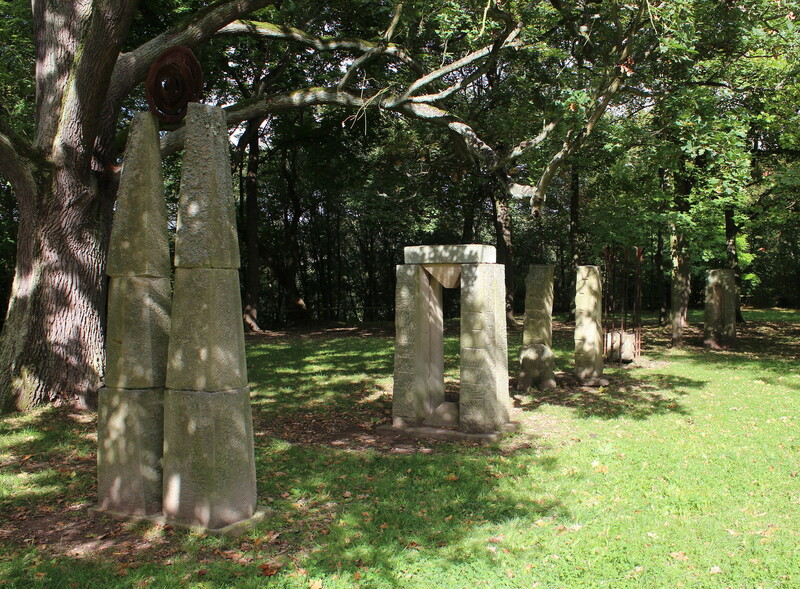 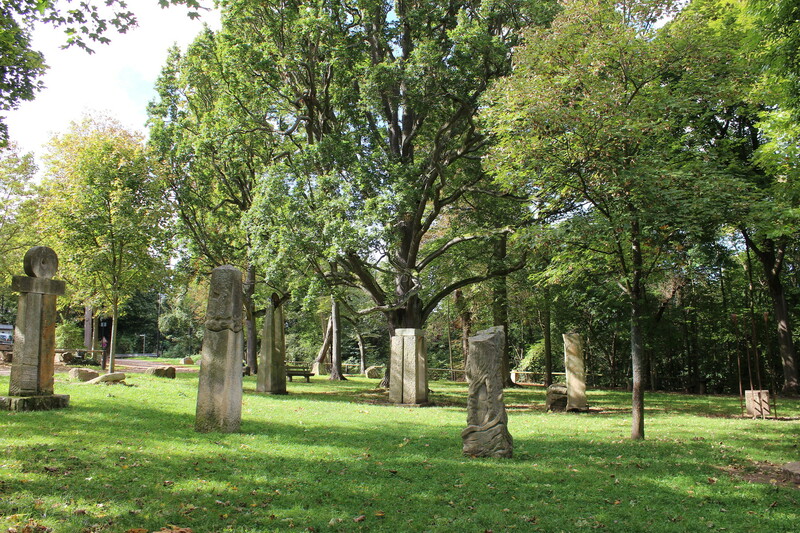 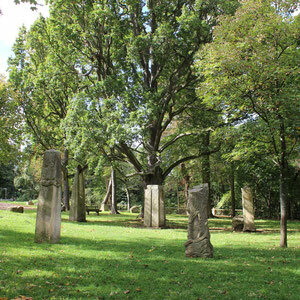 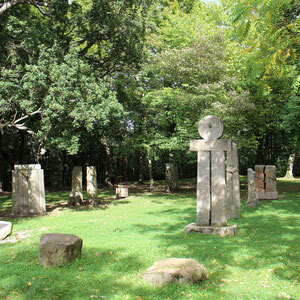 When arriving at Limburg Monastery the first thing that catches the eye of a visitor is this peaceful little park with its stone sculptures. 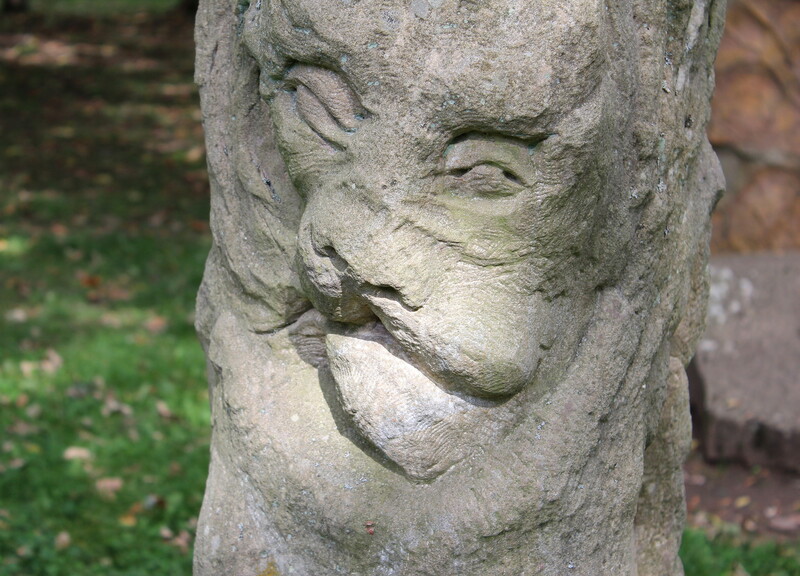 I was quite surprised to see the change that a simple change of perspecive brought to this stone face. 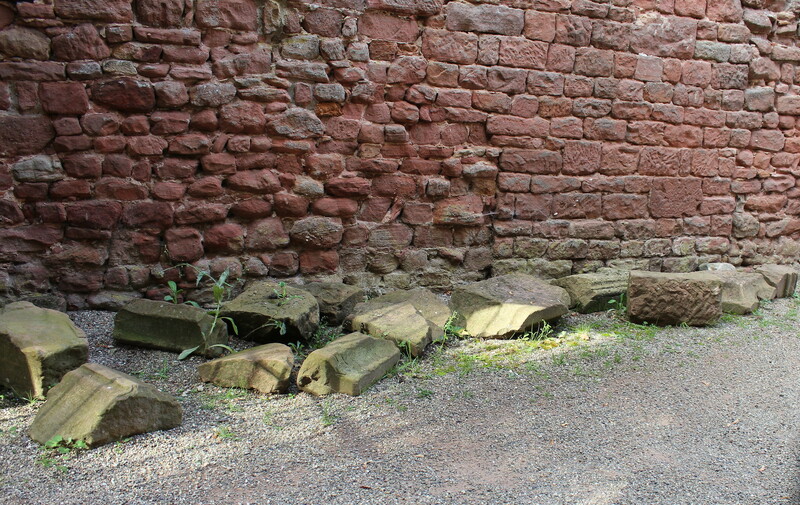 Following the path along the old stone walls one can't help but wonder how it must have been to build something like that with the means people had back then. 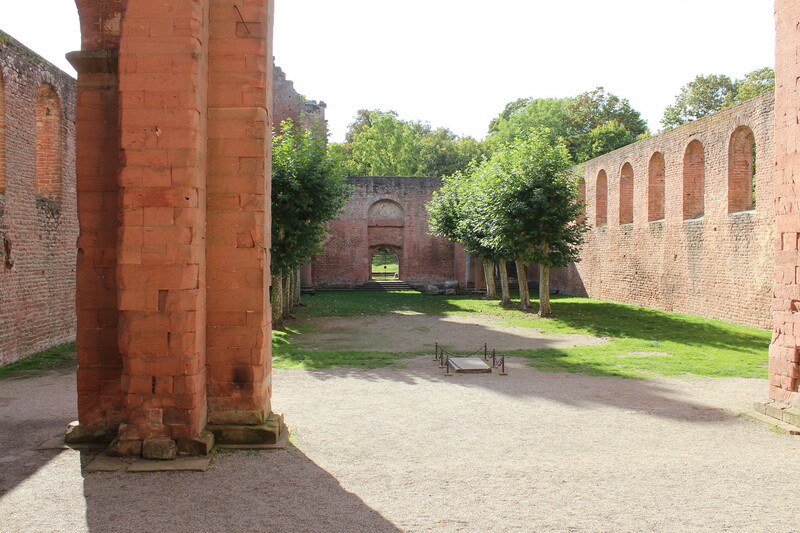 In the courtyard the size of the ruin is even more obvious. 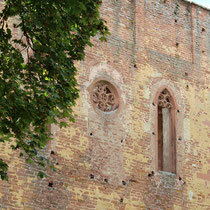 Looking around the courtyard more and more details catch the eye. 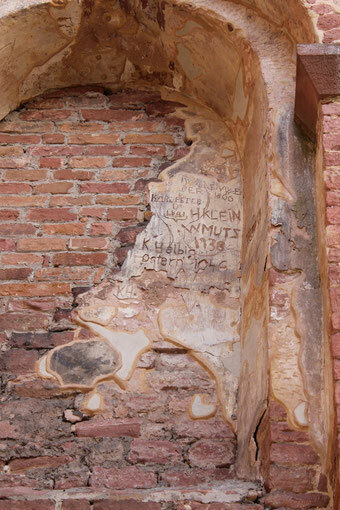 I guess this could be considered ancient graffiti. 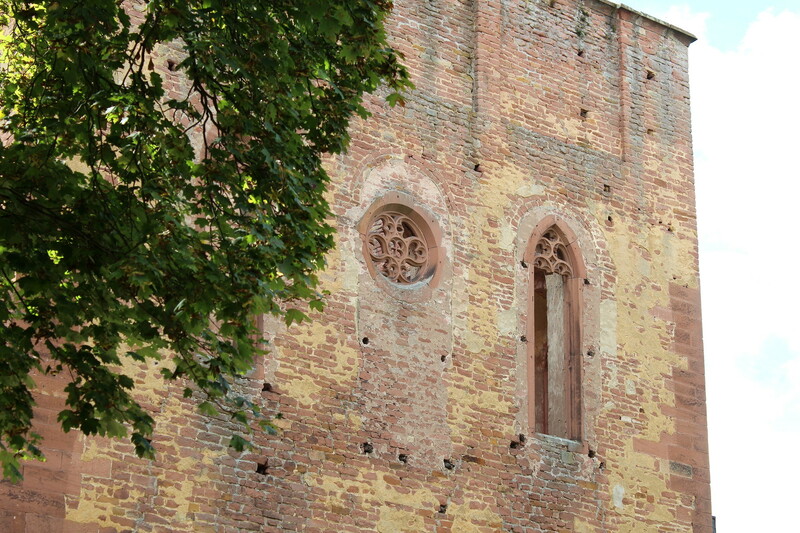 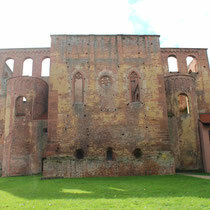 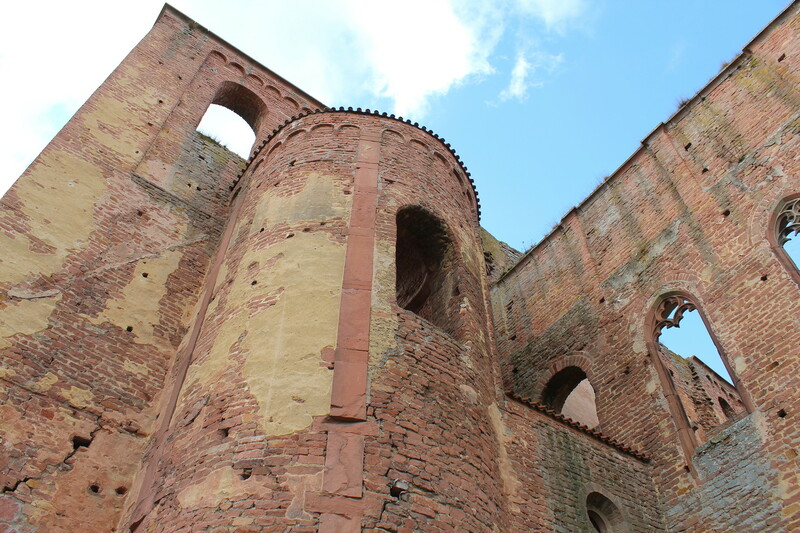 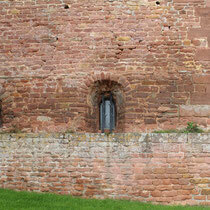 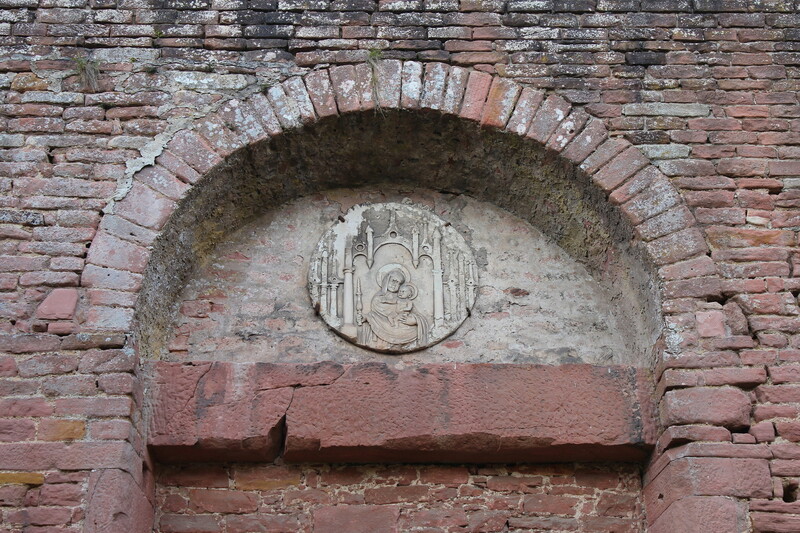 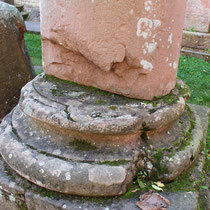 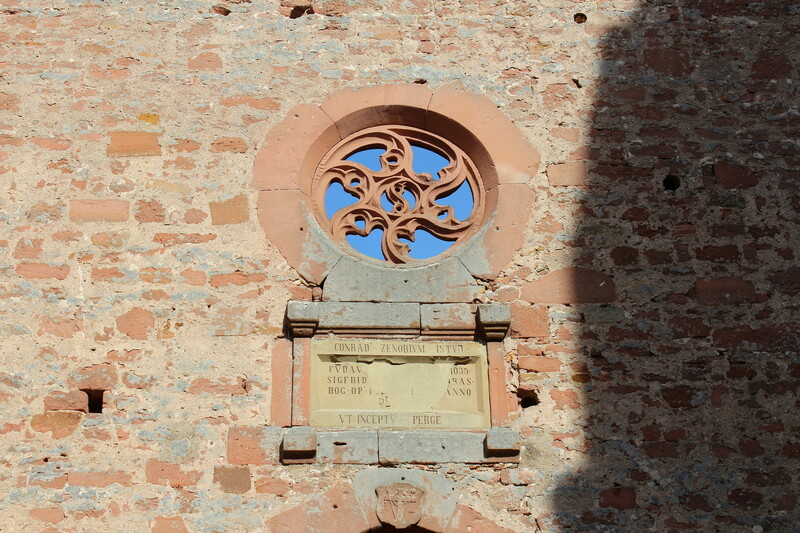 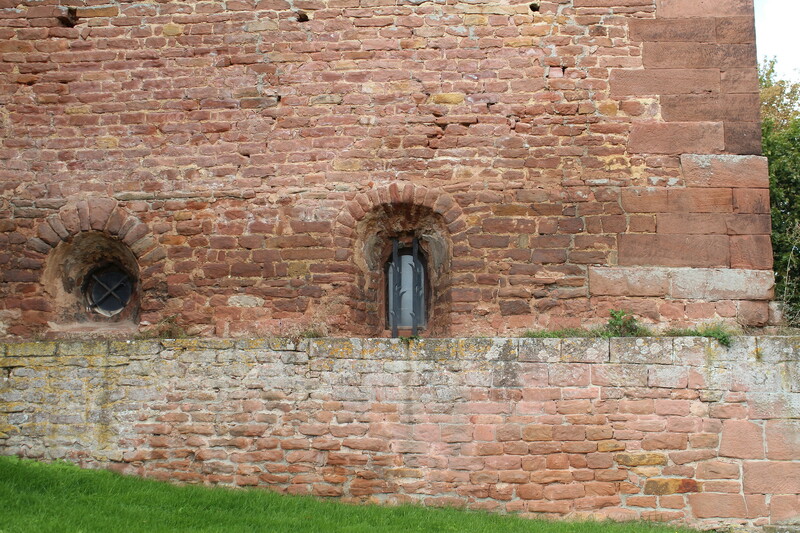 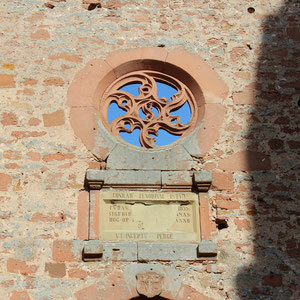 The well preserved rosette windows are absolutely beautiful. 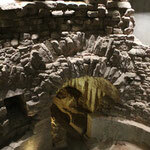 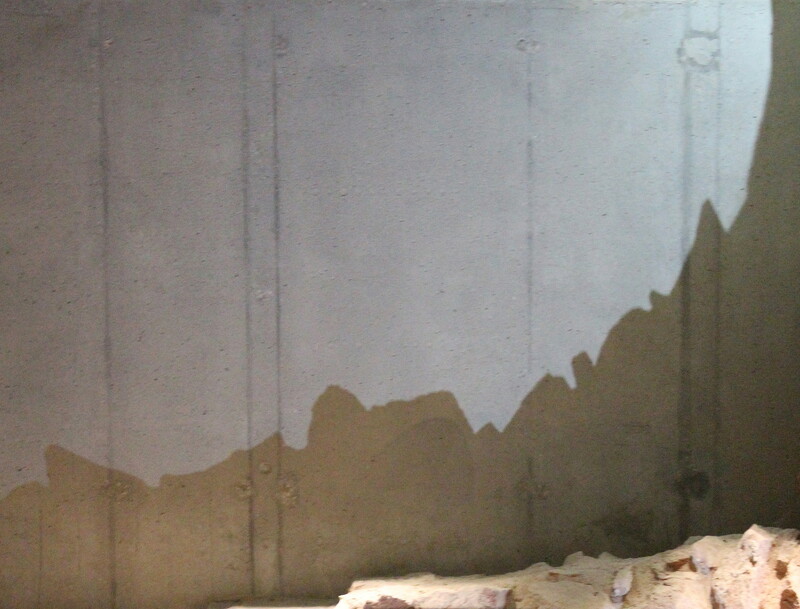 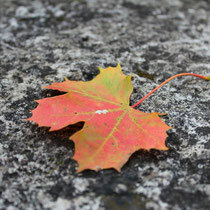 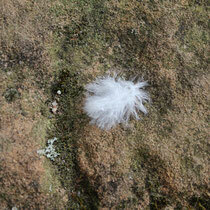 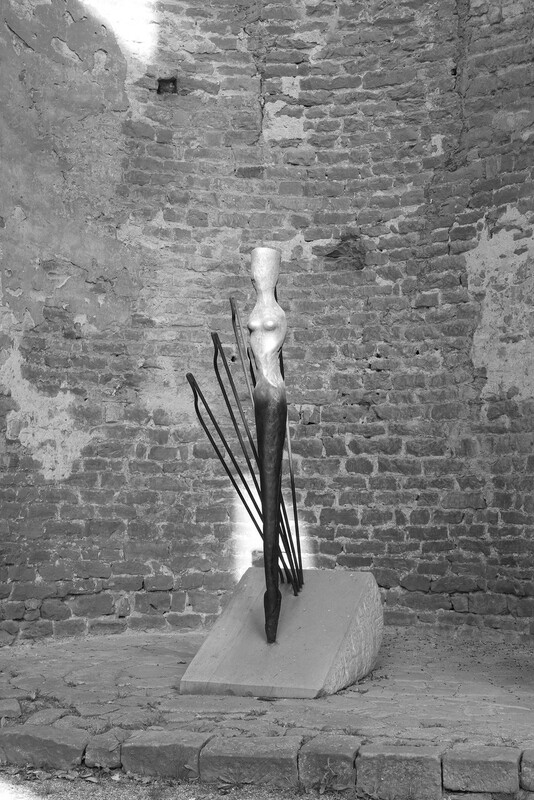 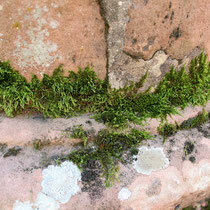 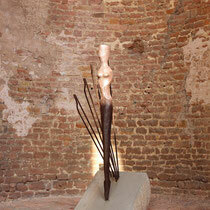 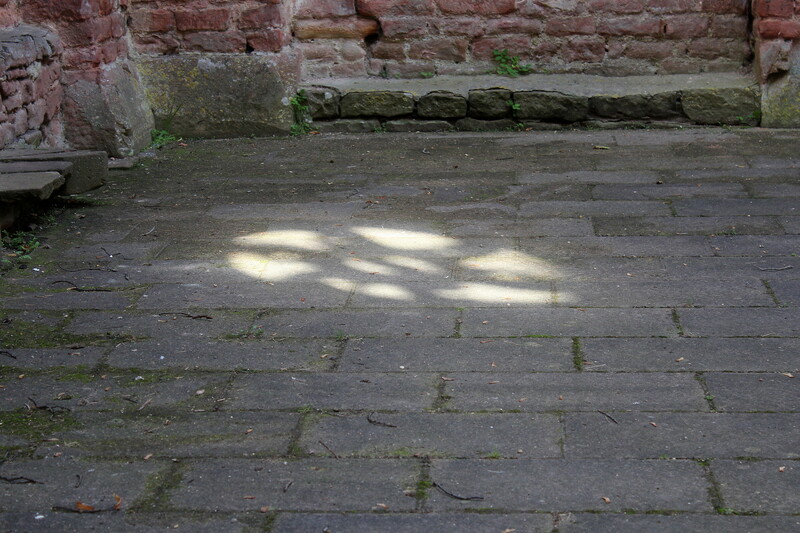 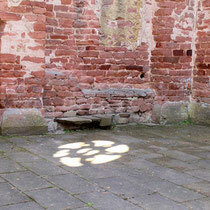 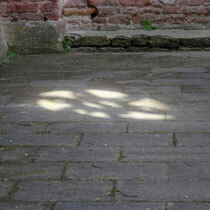 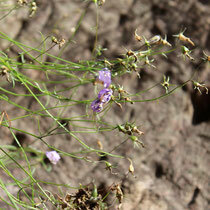 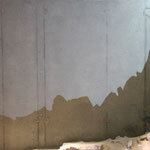 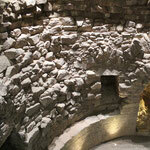 And some of them create ornaments of light on the stone floor. 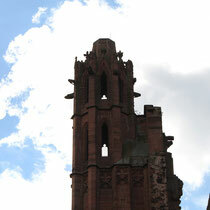 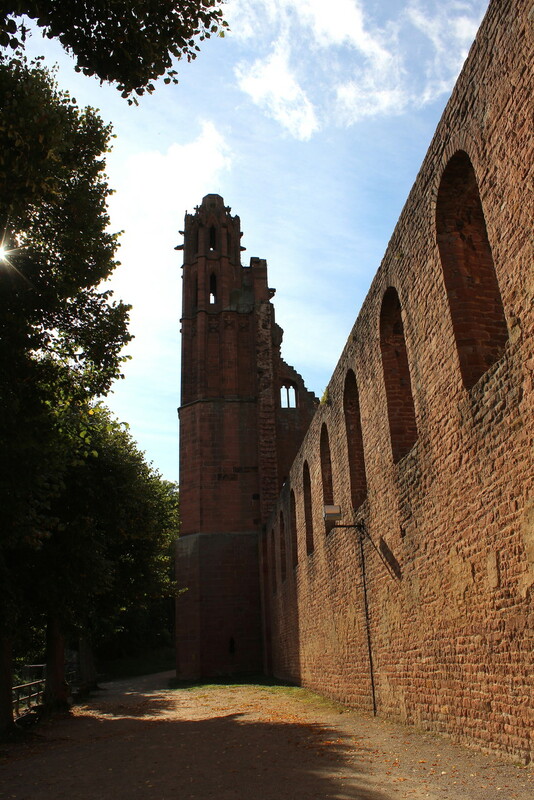 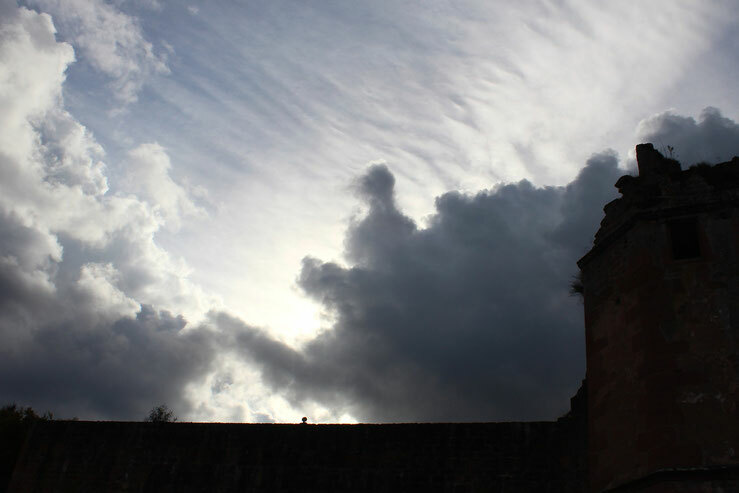 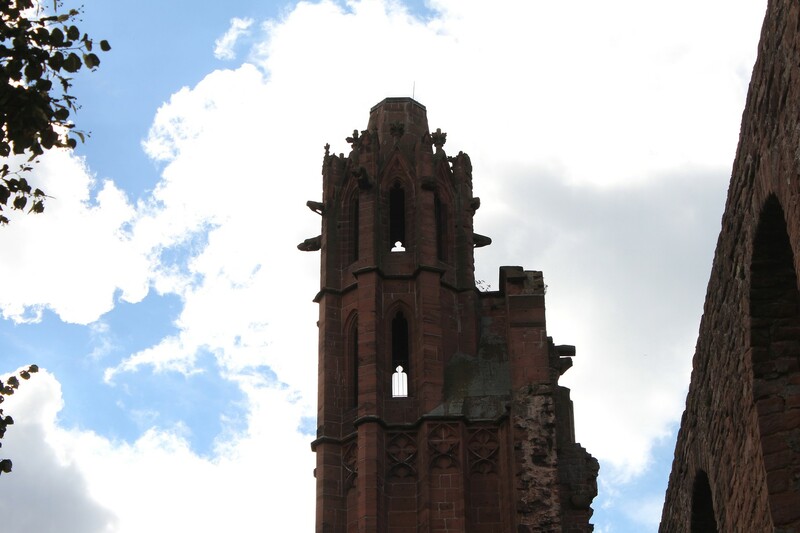 The tall church tower is impressive no matter from where you look at it. 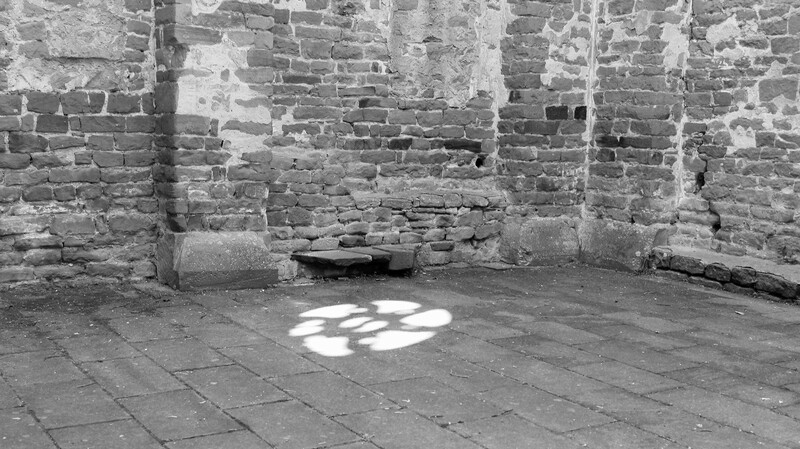 Leaving the courtyard you can follow a path that leads to the back of the monastery. 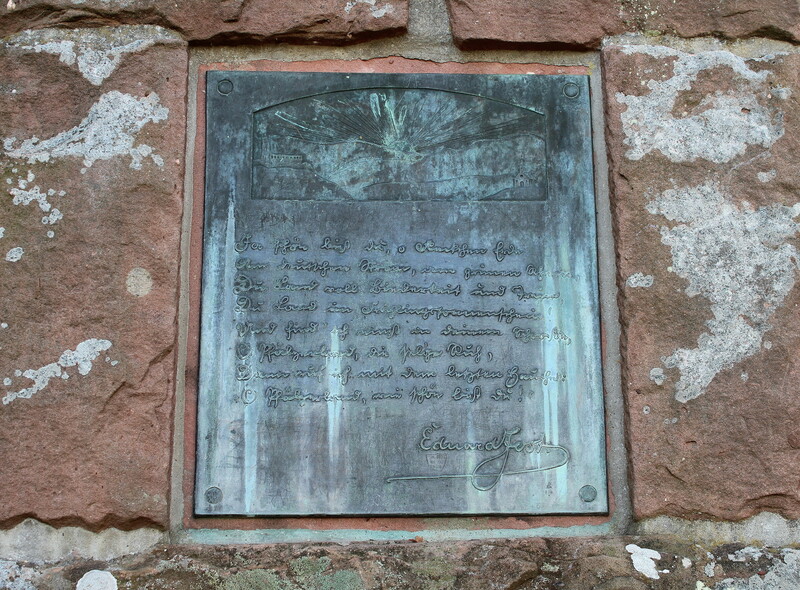 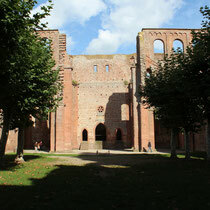 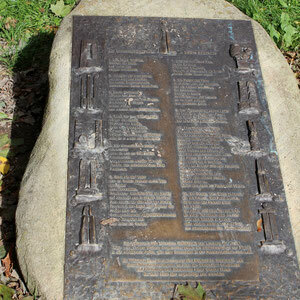 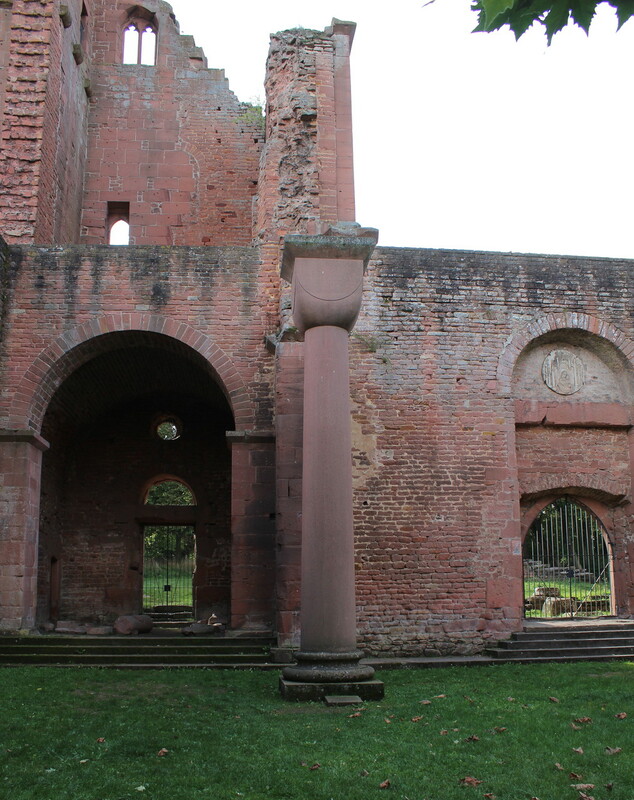 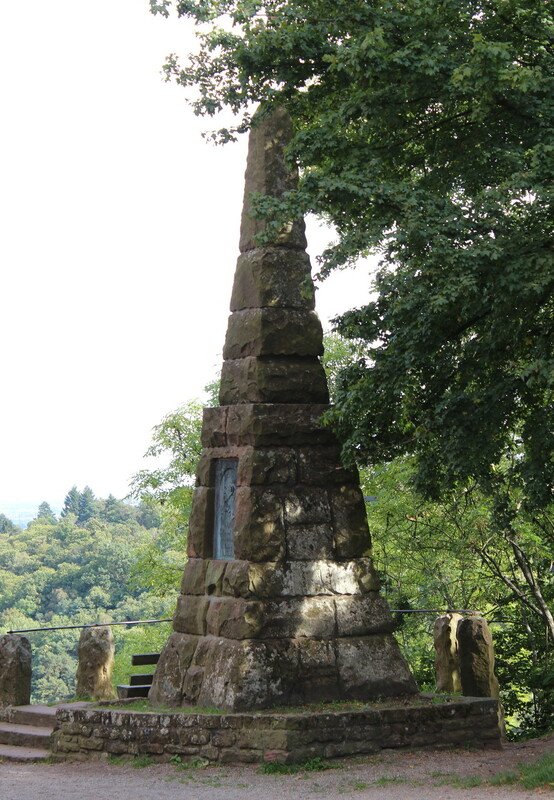 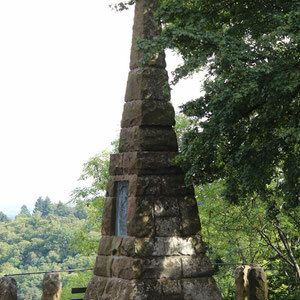 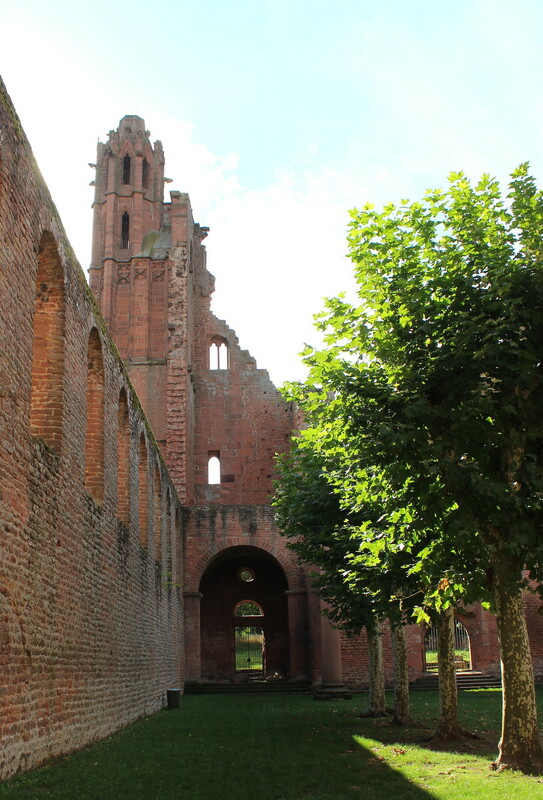 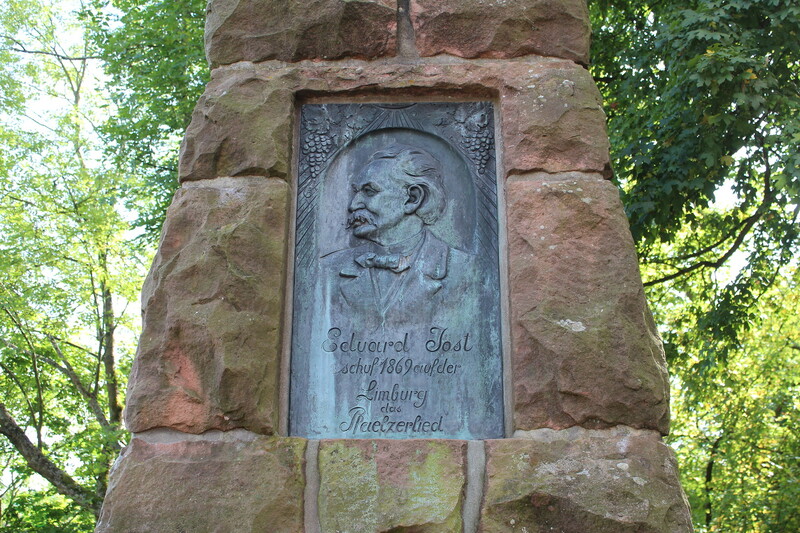 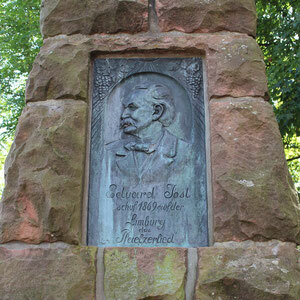 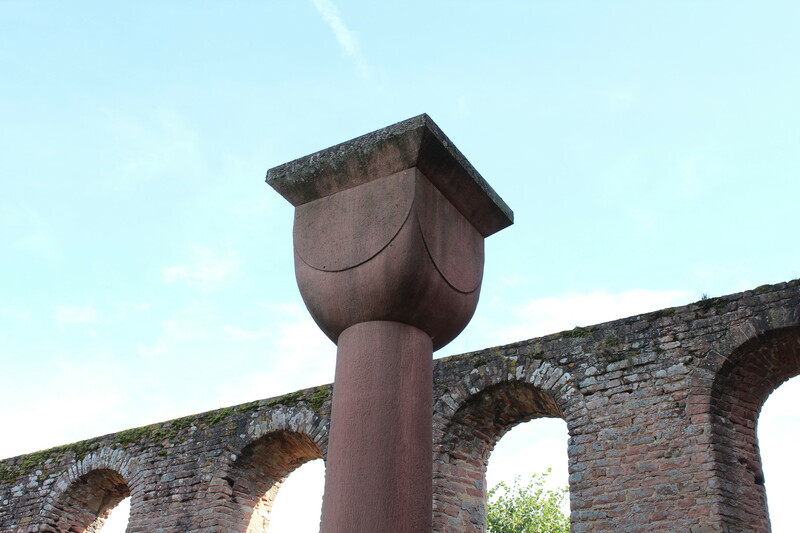 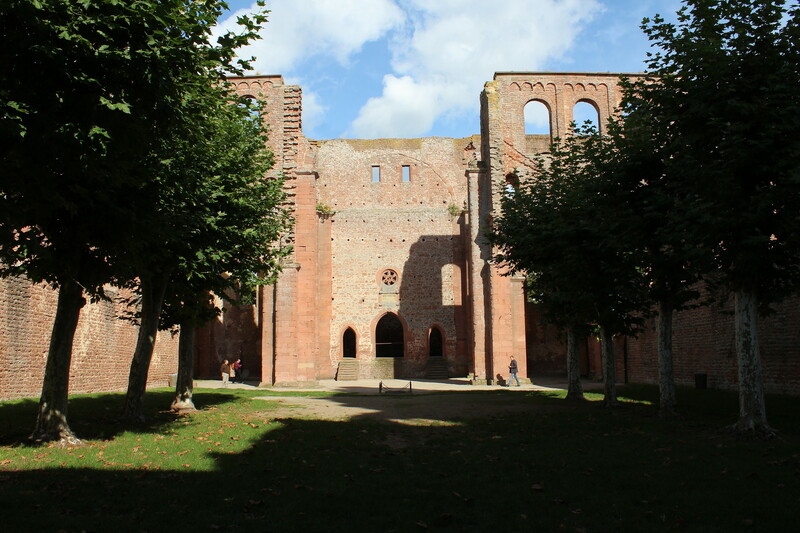 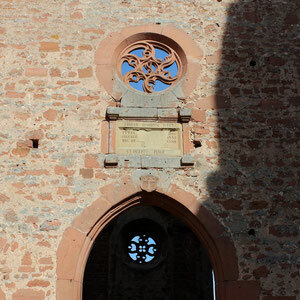 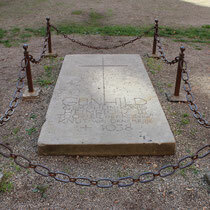 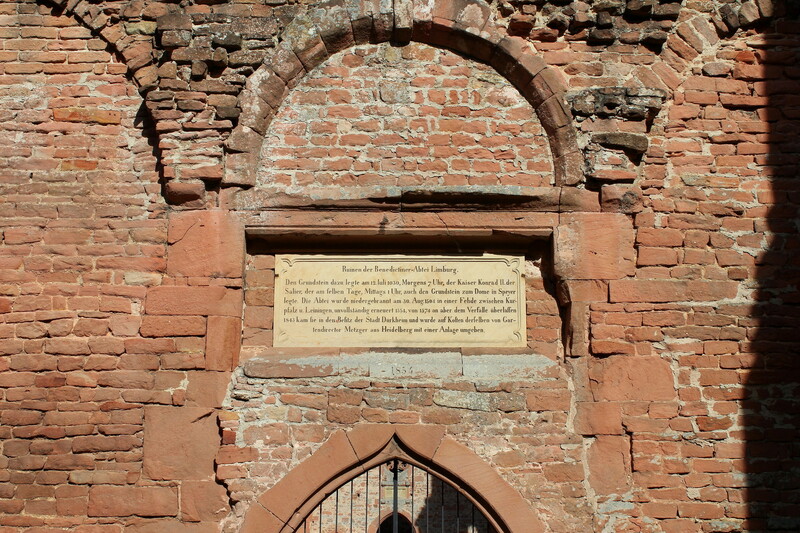 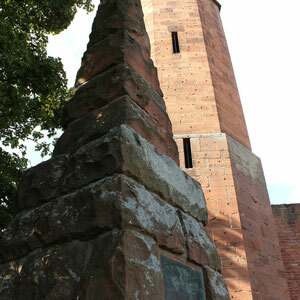 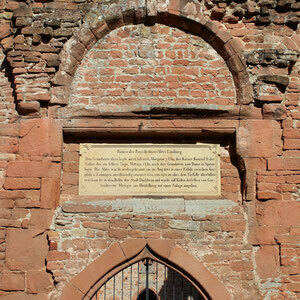 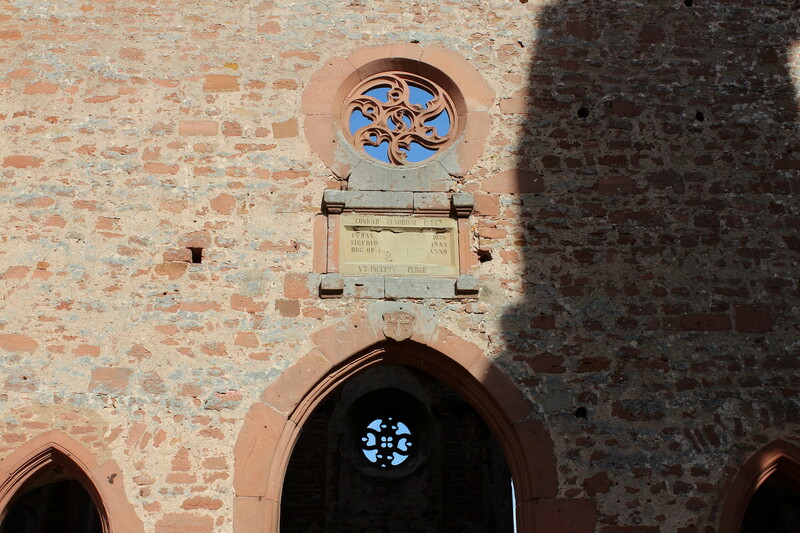 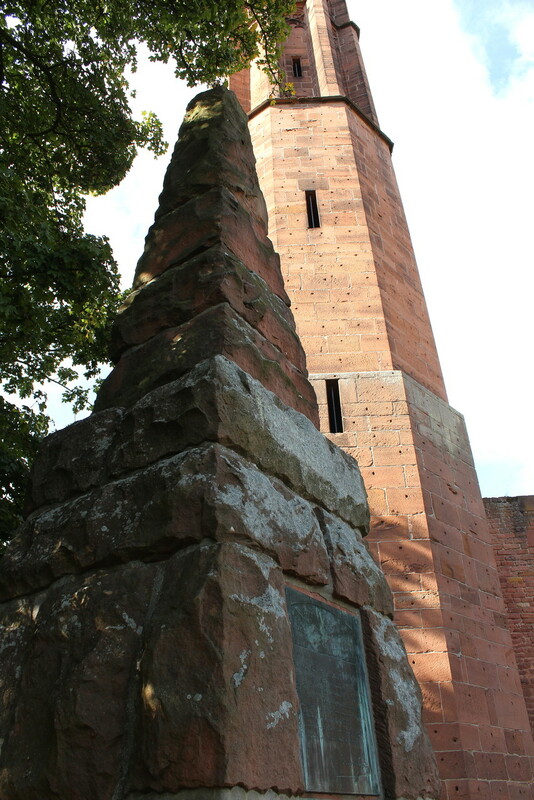 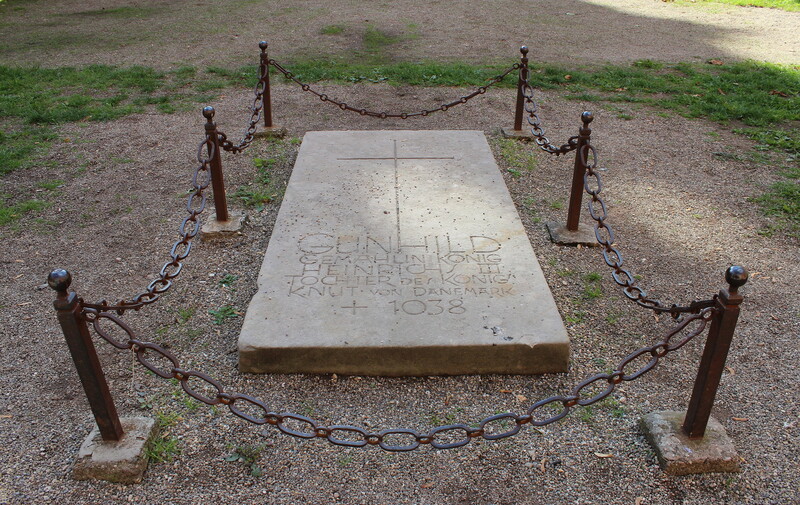 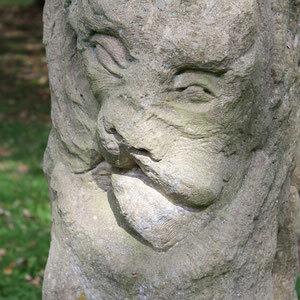 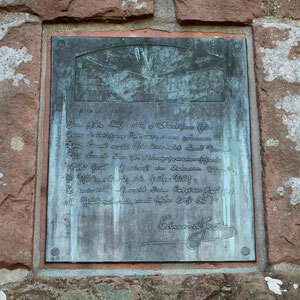 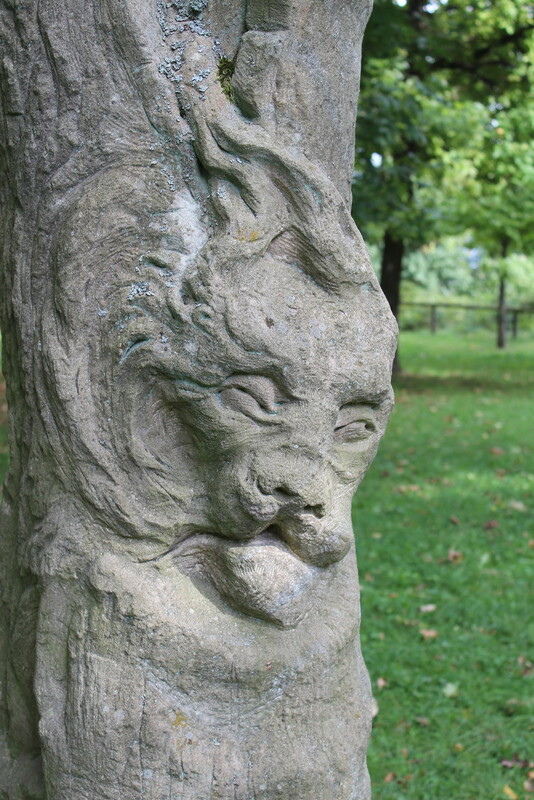 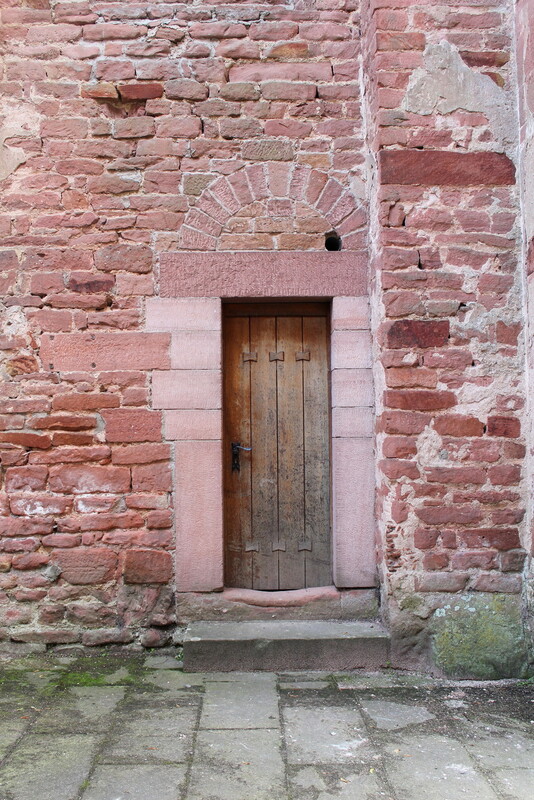 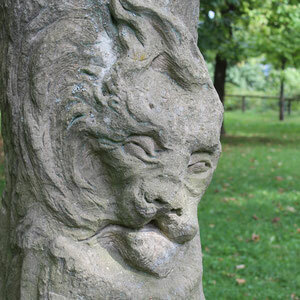 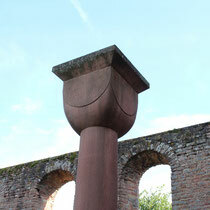 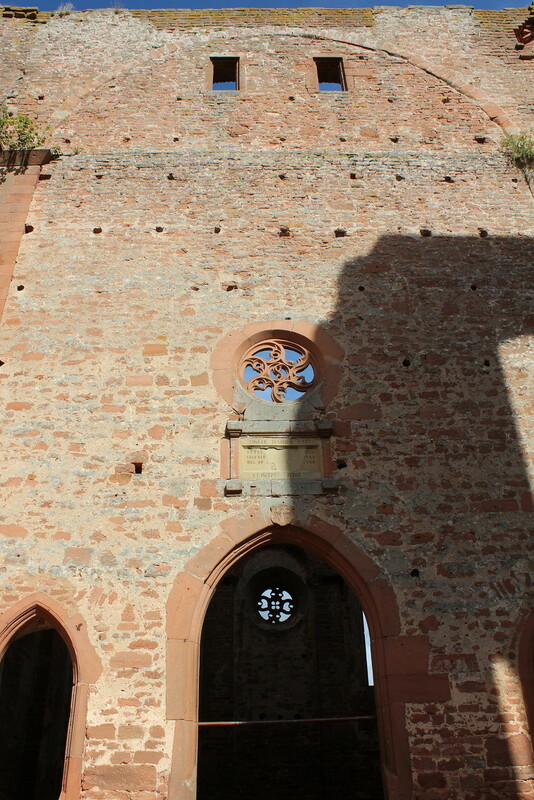 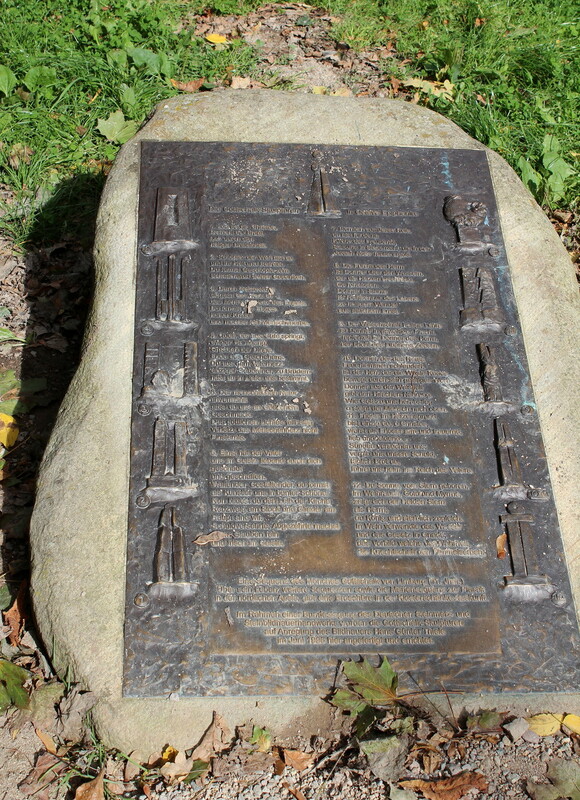 It passes a stone column that had been erected in honor of Eduard Jost - a bard who wrote "The song of Palatinate" while visiting Limburg Monastery. 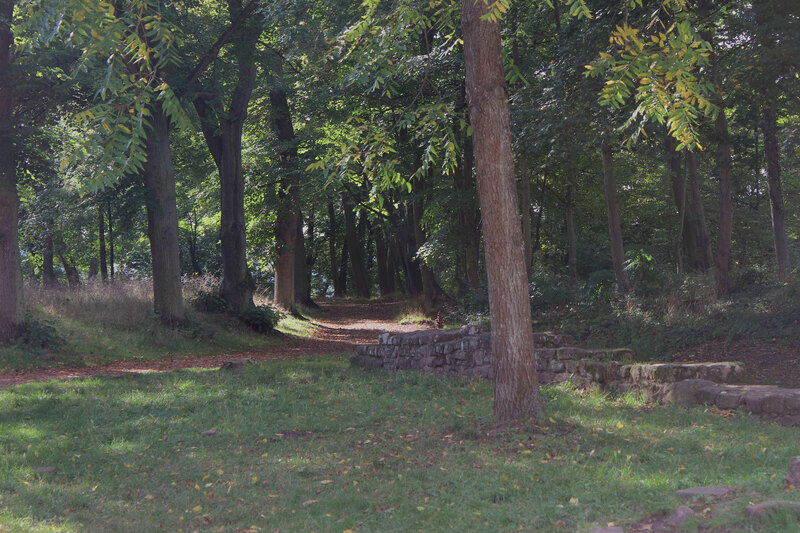 A path leads into the forrest - and in that light it looks nearly mystical. 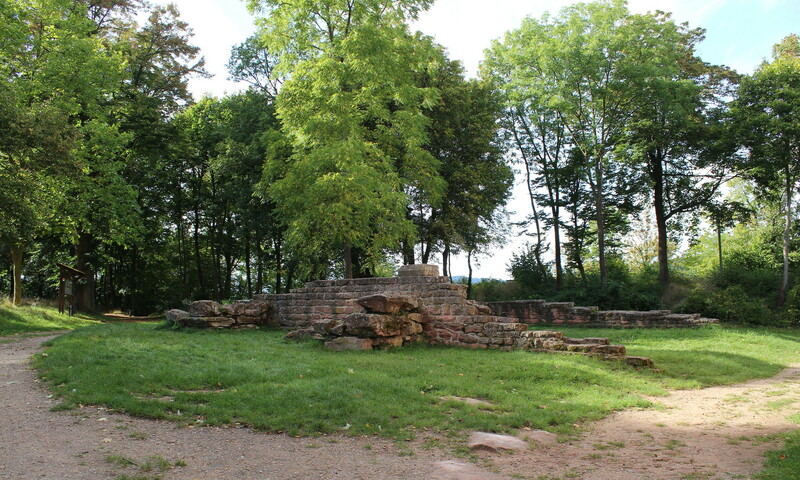 The remnants of a building remains outside the main structure. 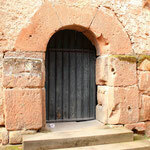 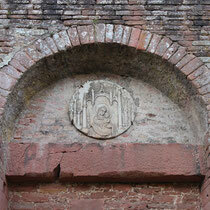 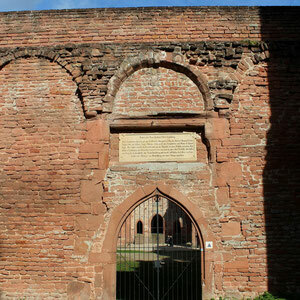 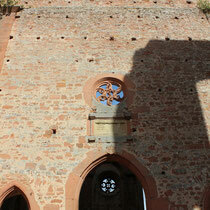 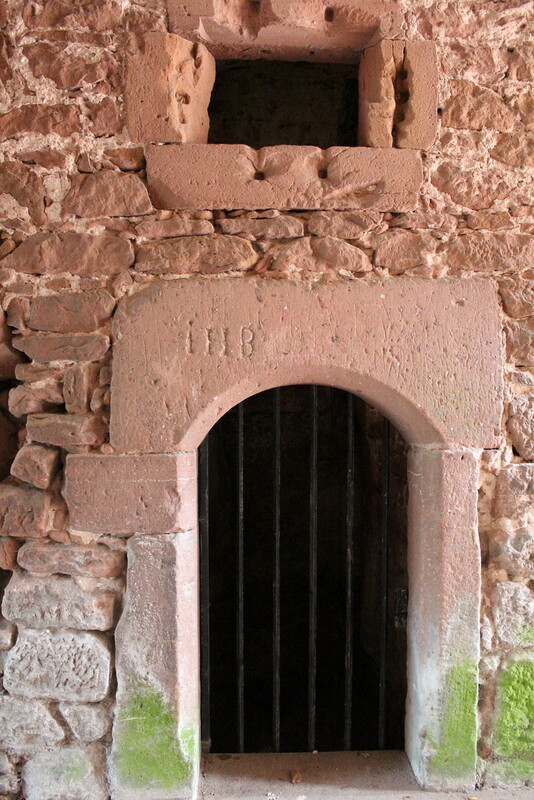 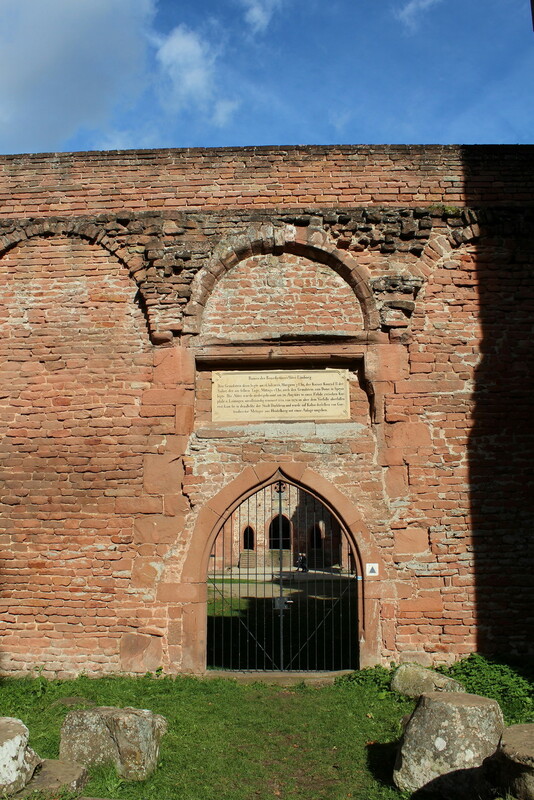 Back here is also an iron gate with the description of how the monastery was built above it. 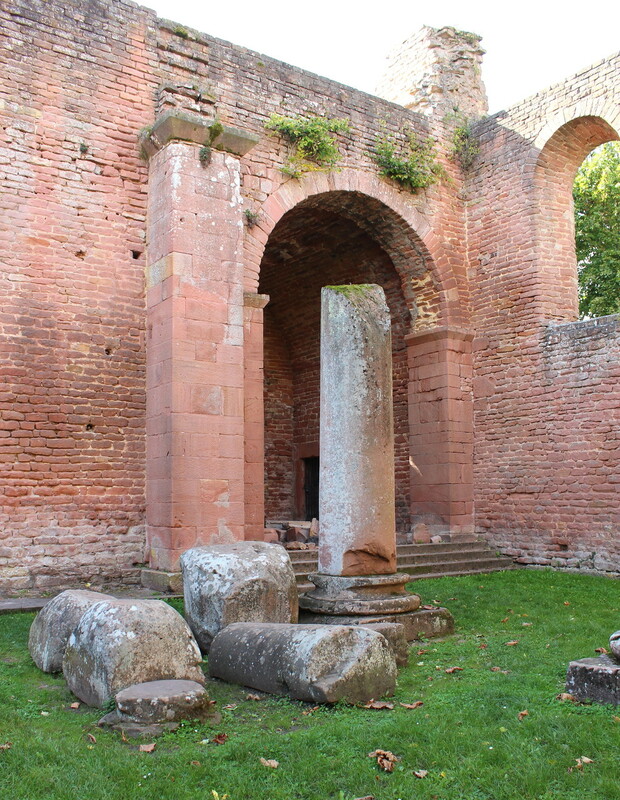 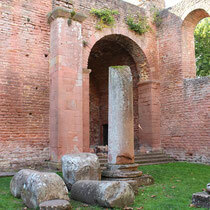 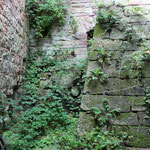 Further down the path to the back are the ruins of several annexes and a portico. 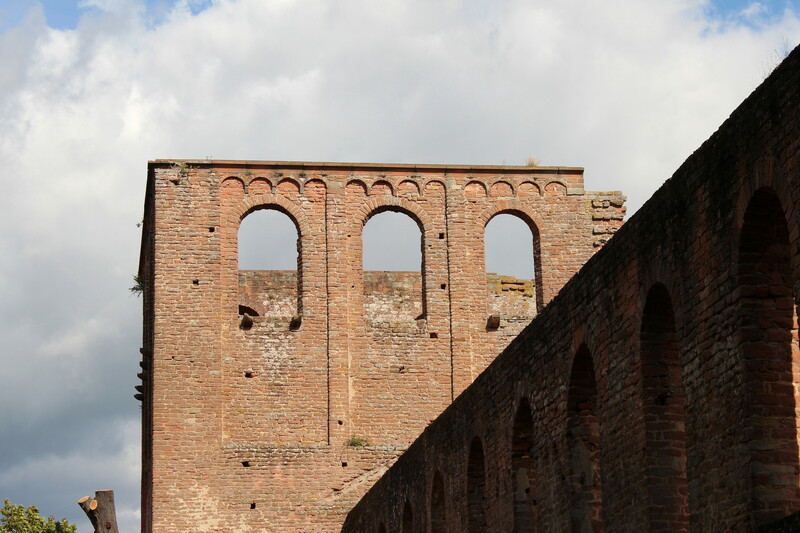 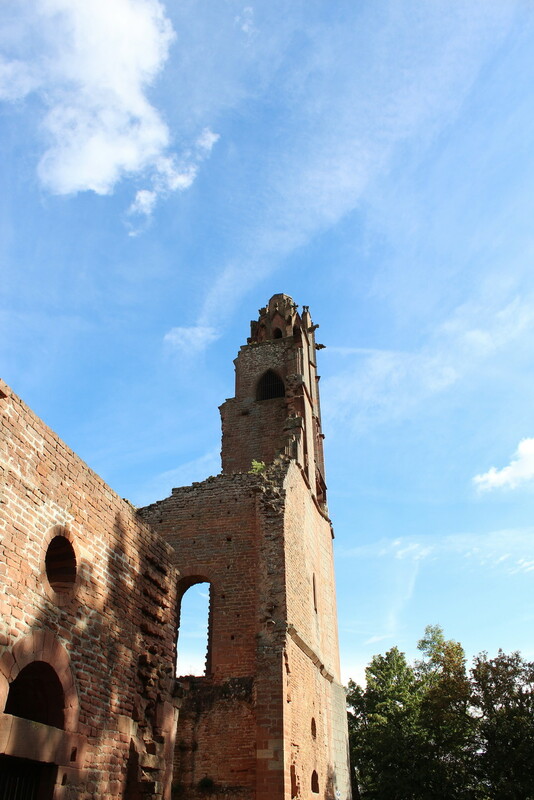 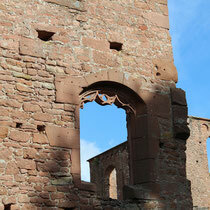 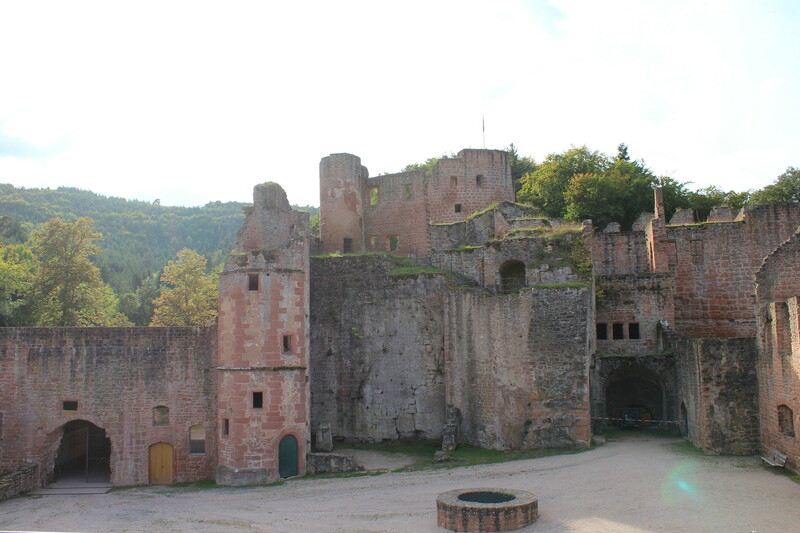 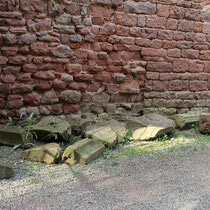 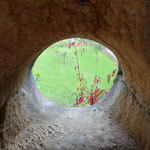 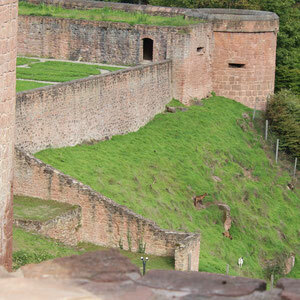 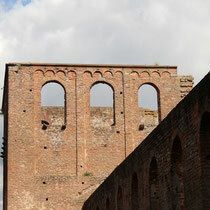 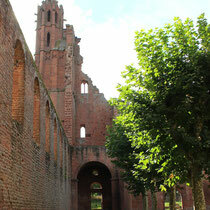 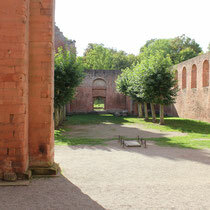 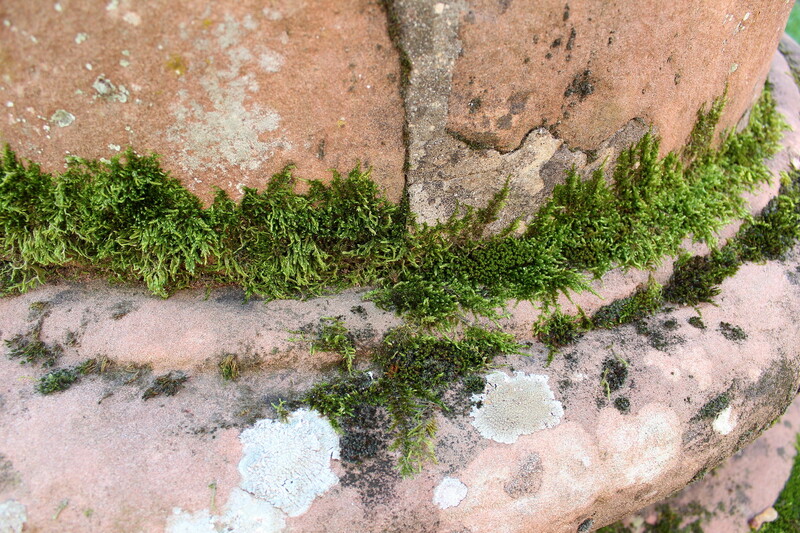 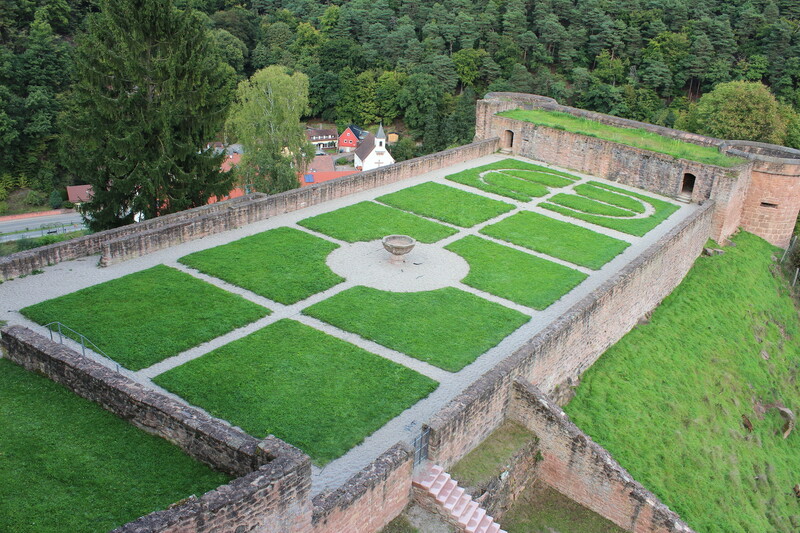 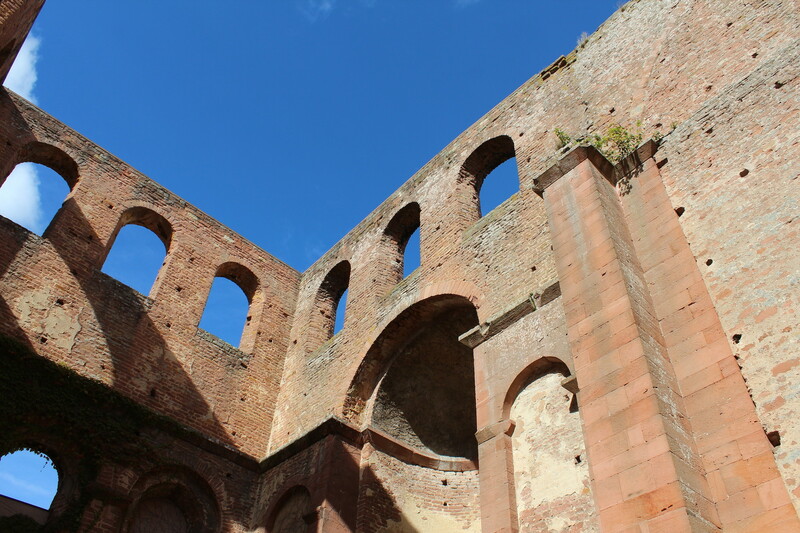 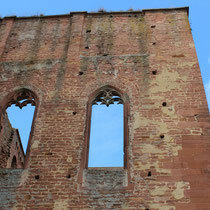 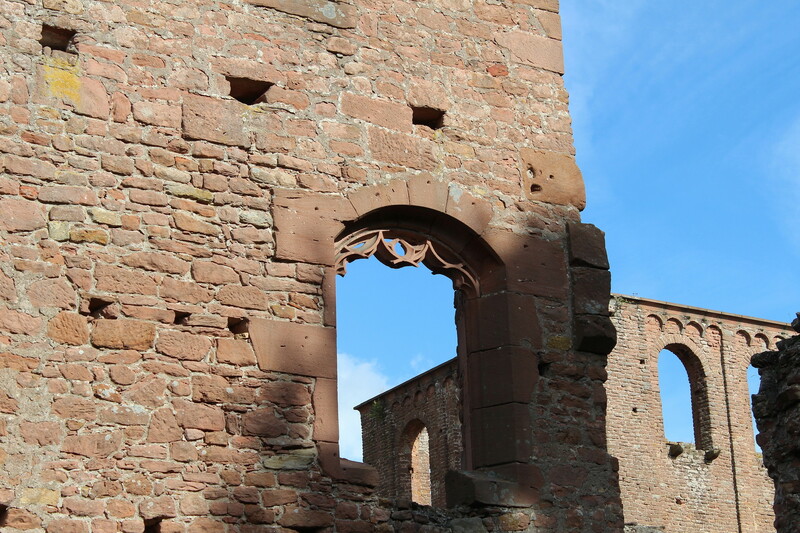 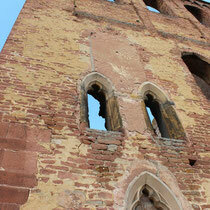 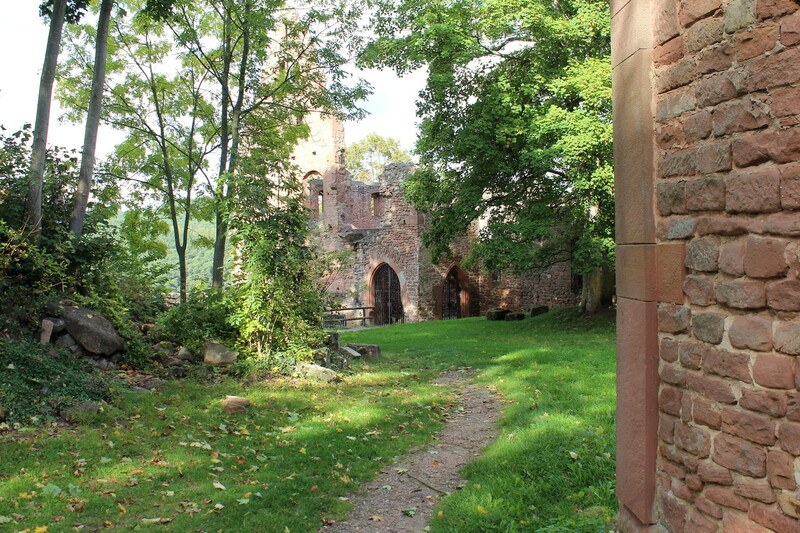 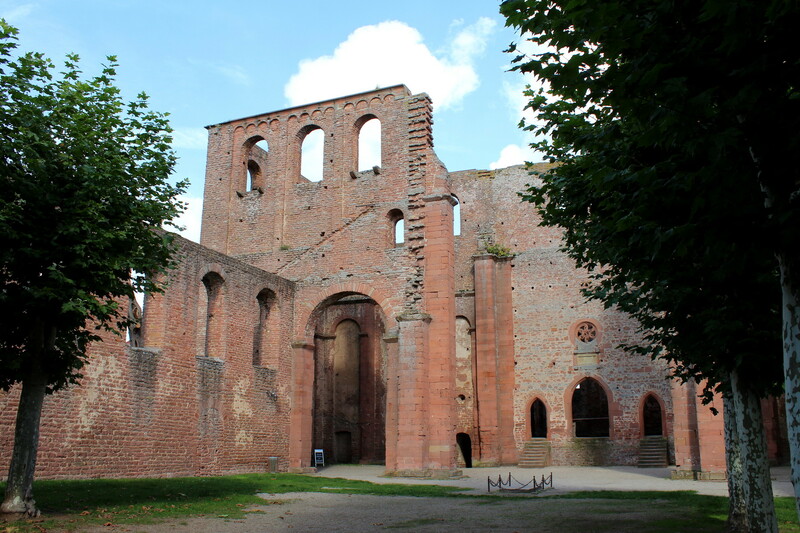 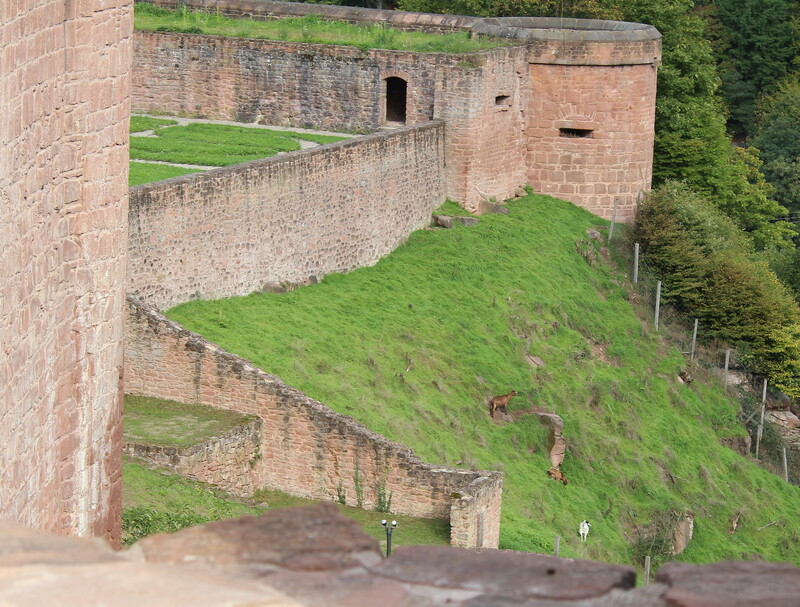 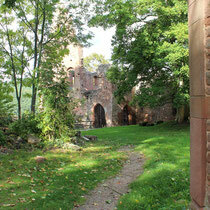 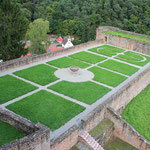 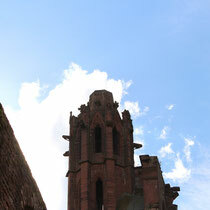 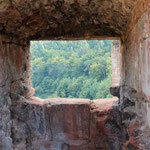 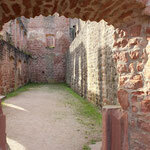 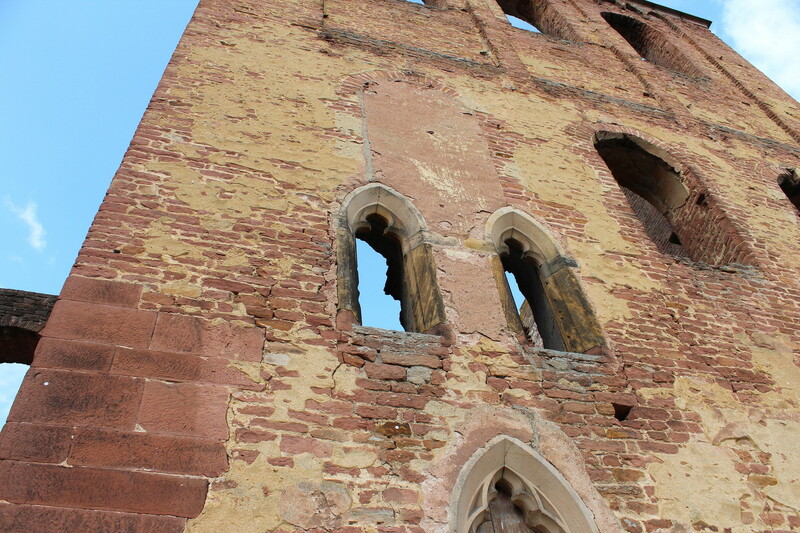 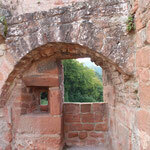 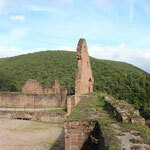 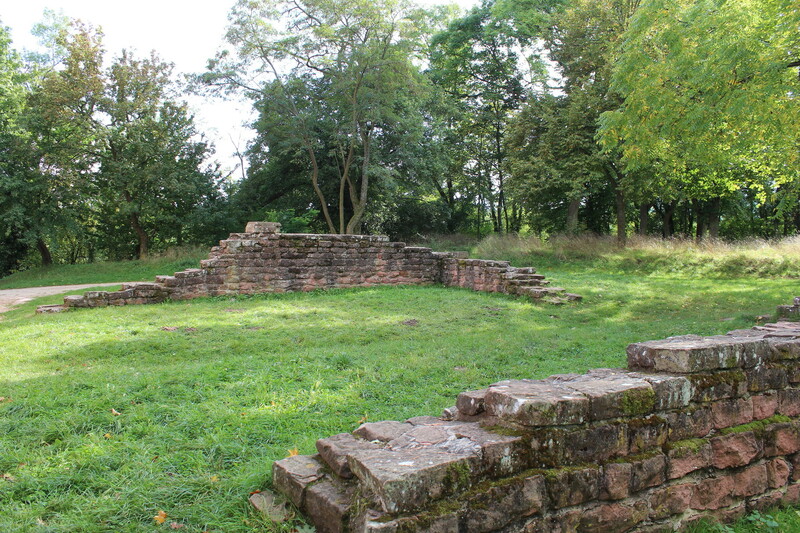 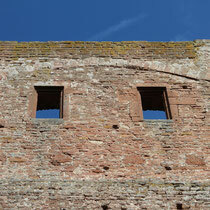 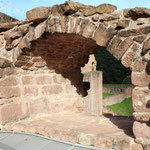 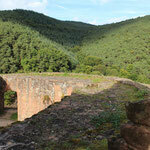 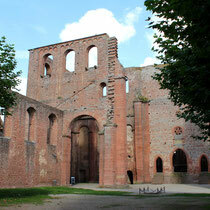 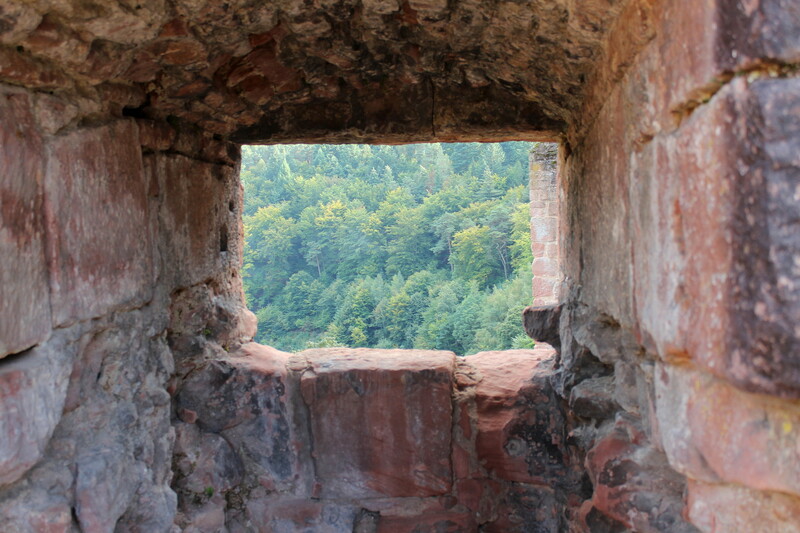 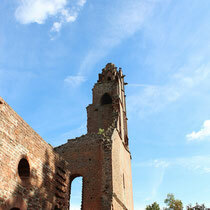 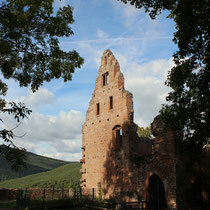 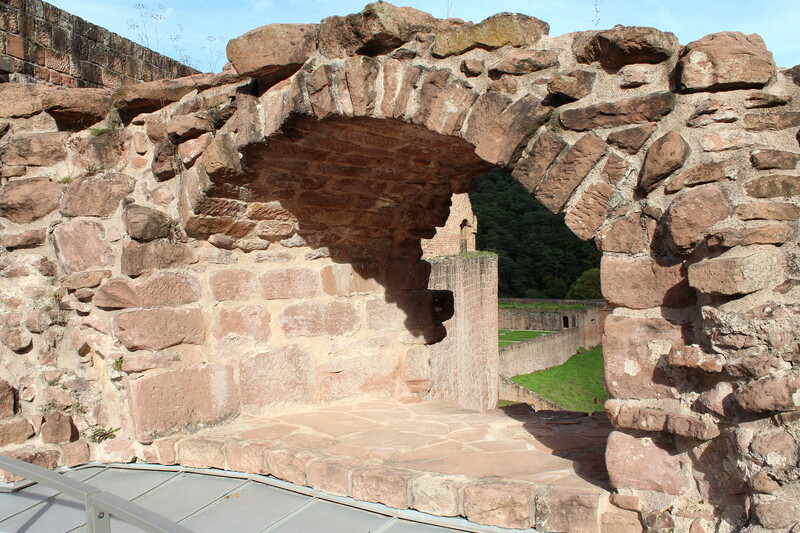 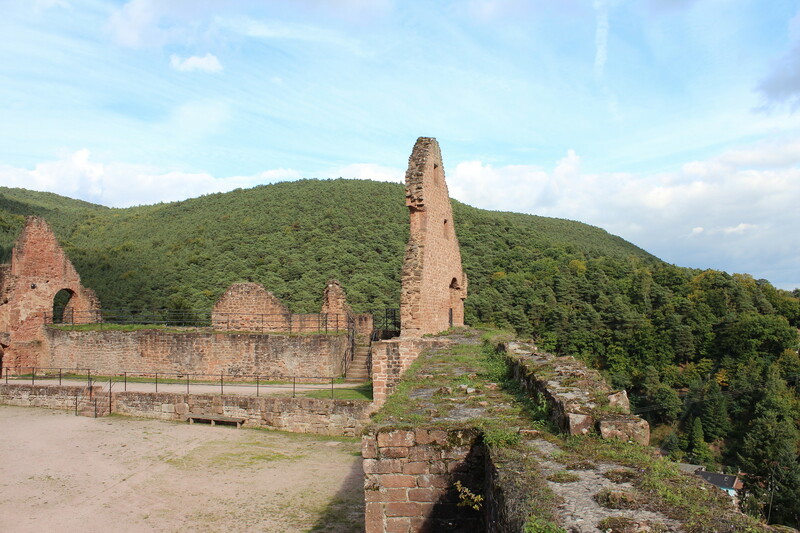 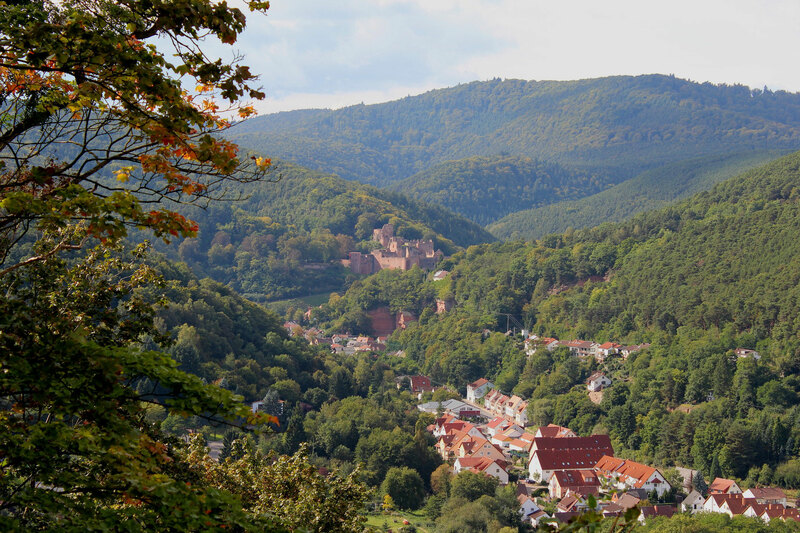 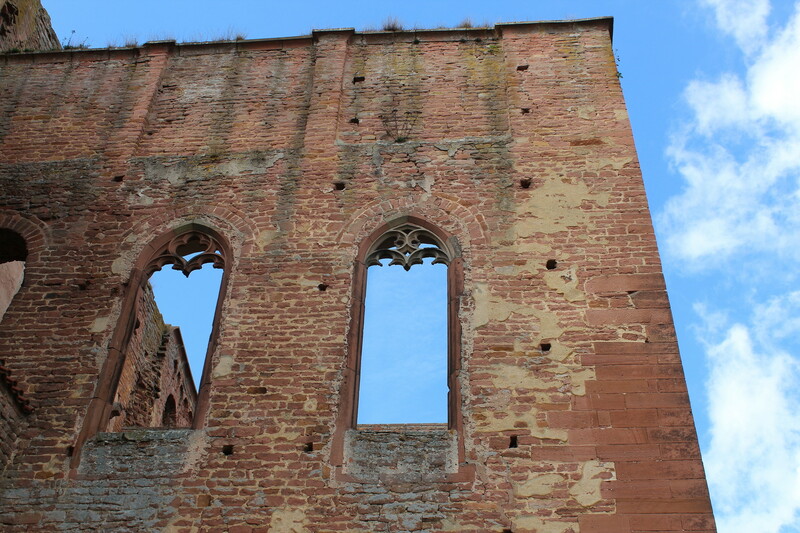 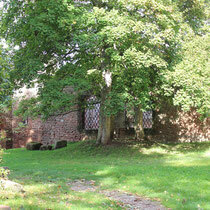 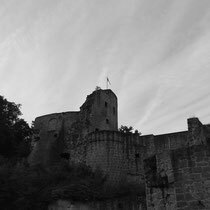 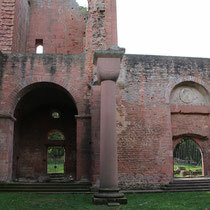 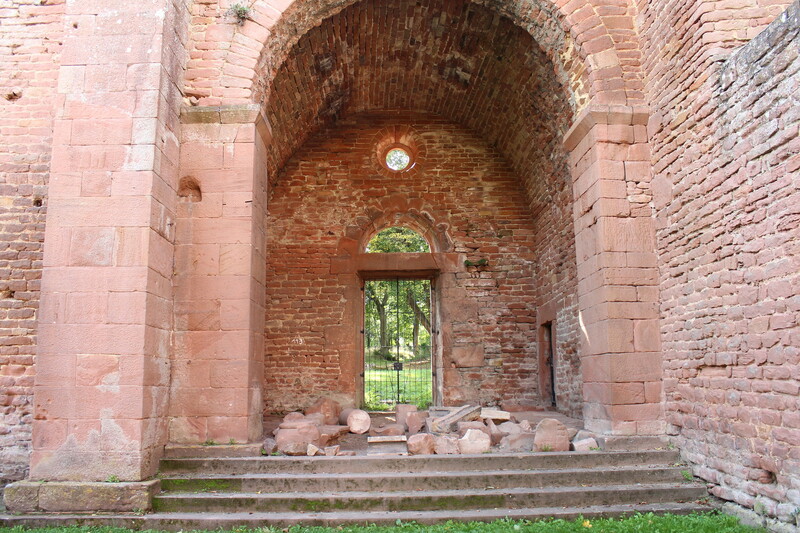 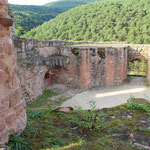 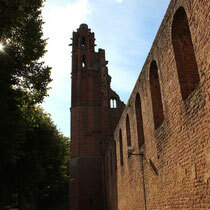 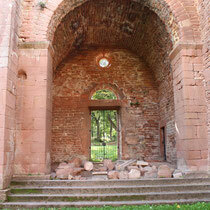 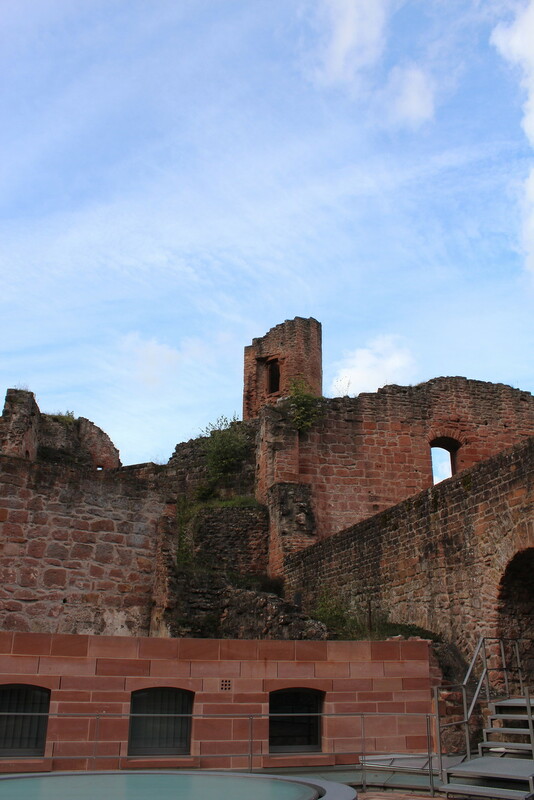 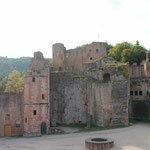 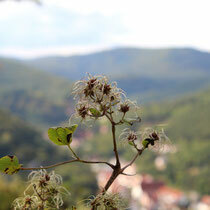 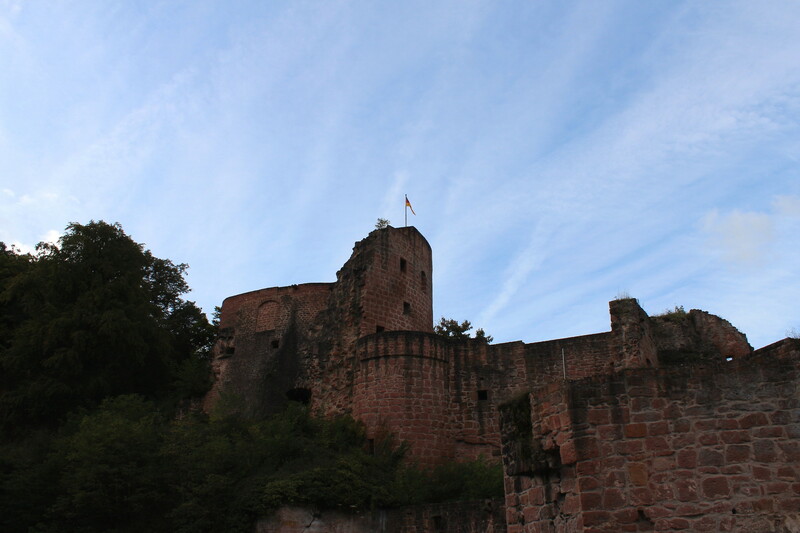 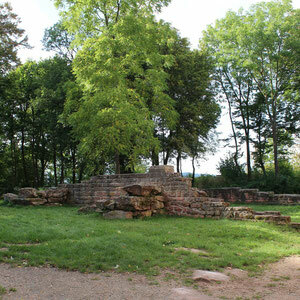 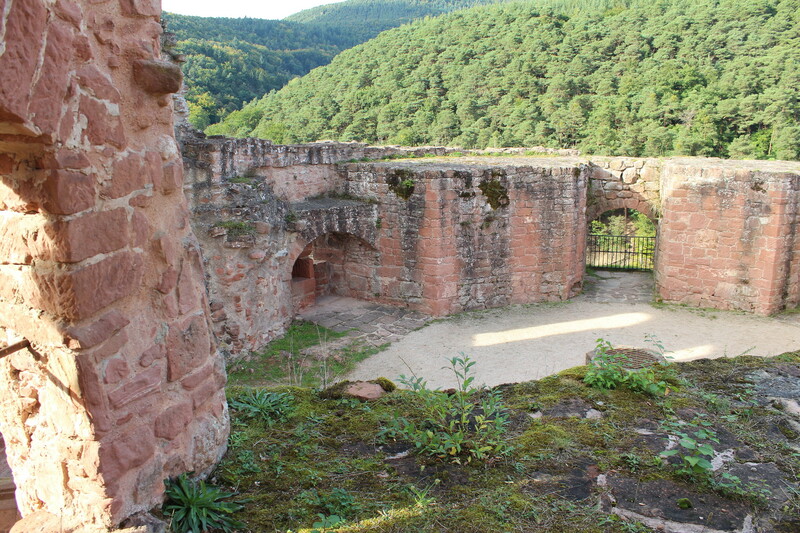 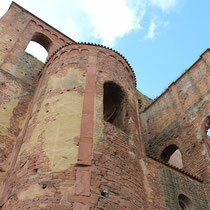 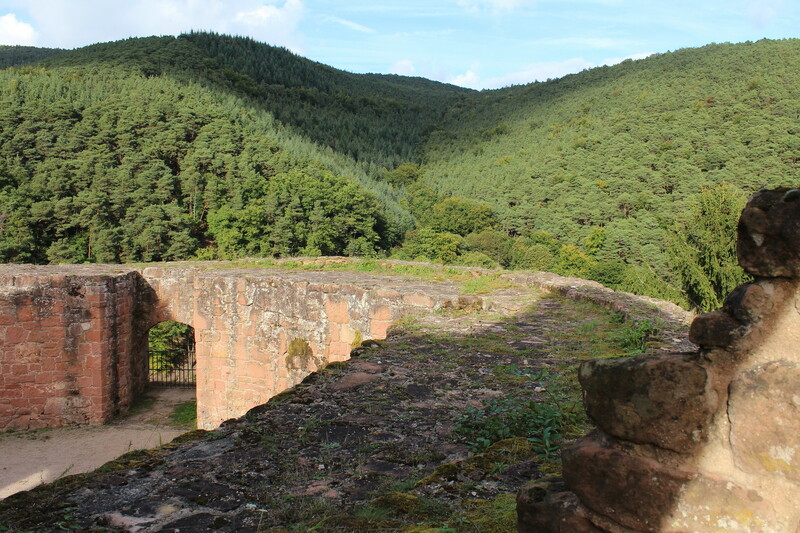 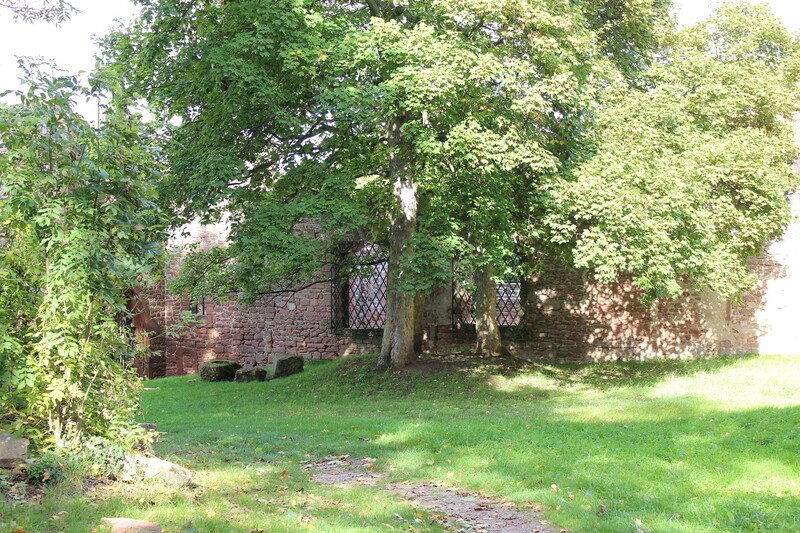 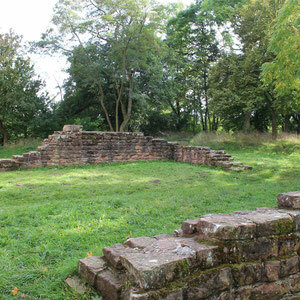 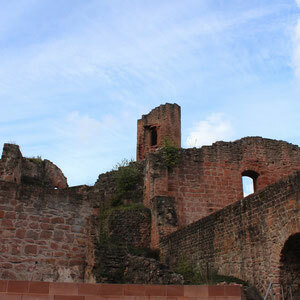 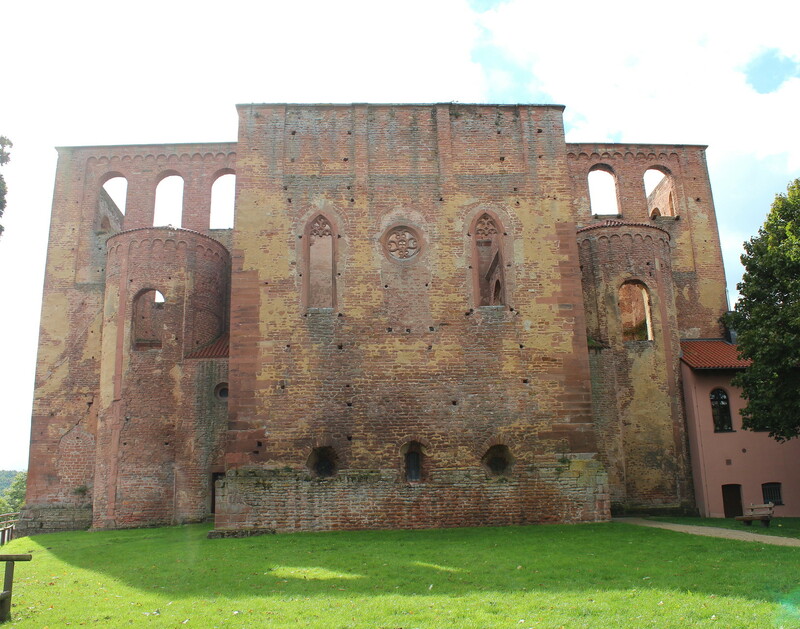 And from here there is also a good view of the next location that I was about to visit - the ruins of Hardenburg Castle. 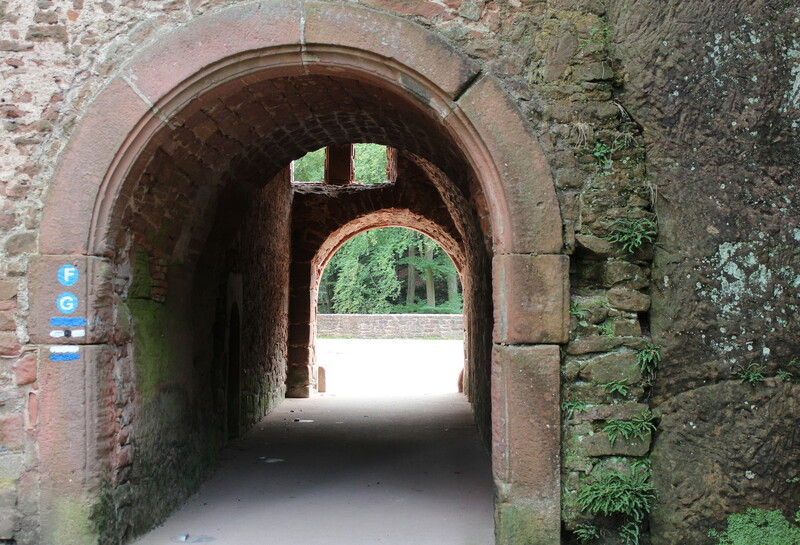 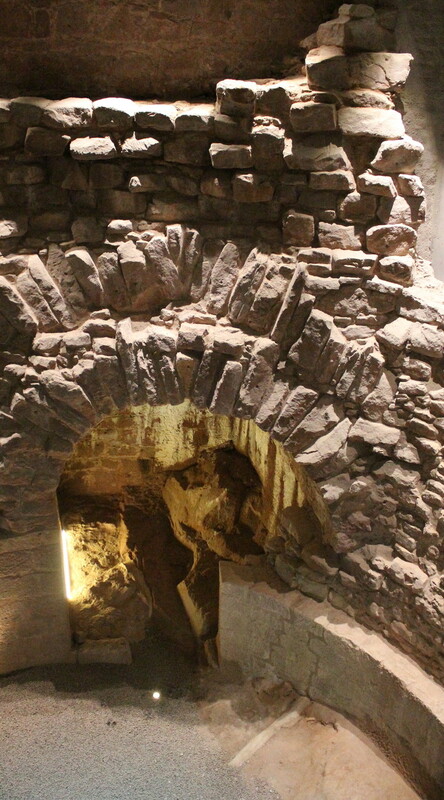 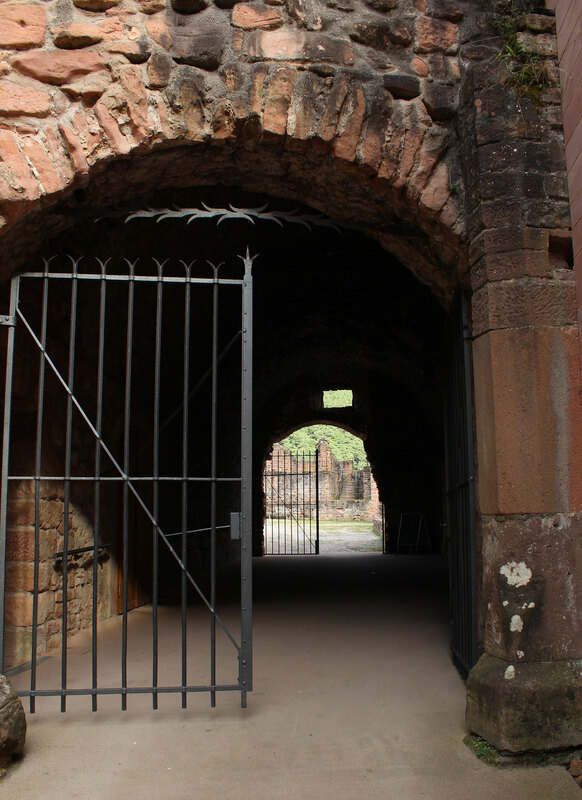 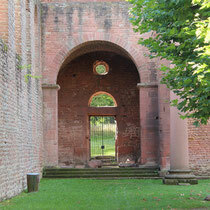 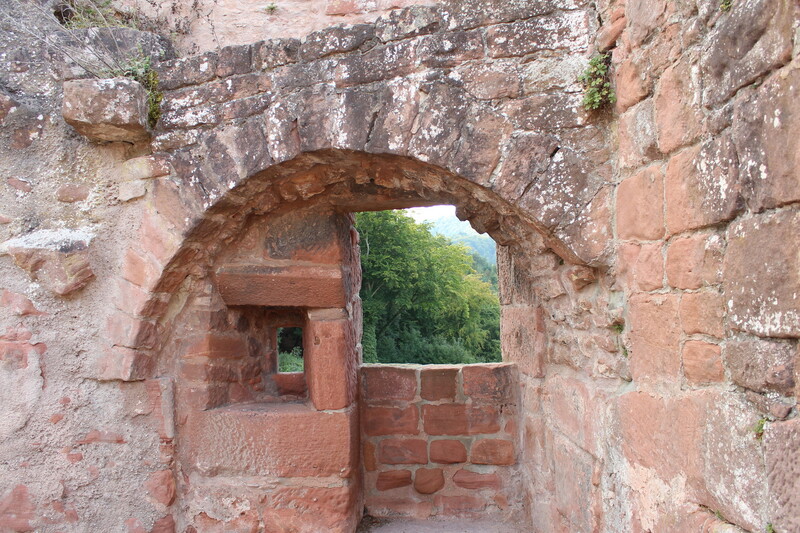 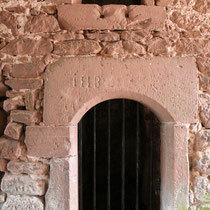 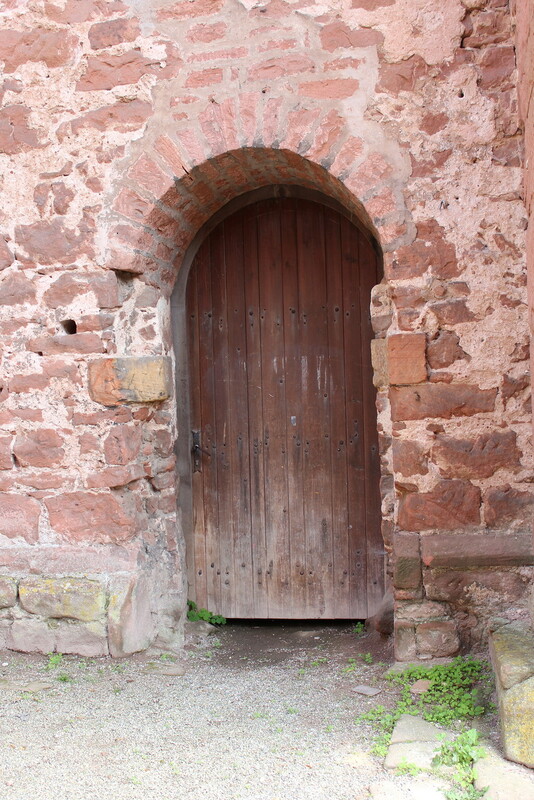 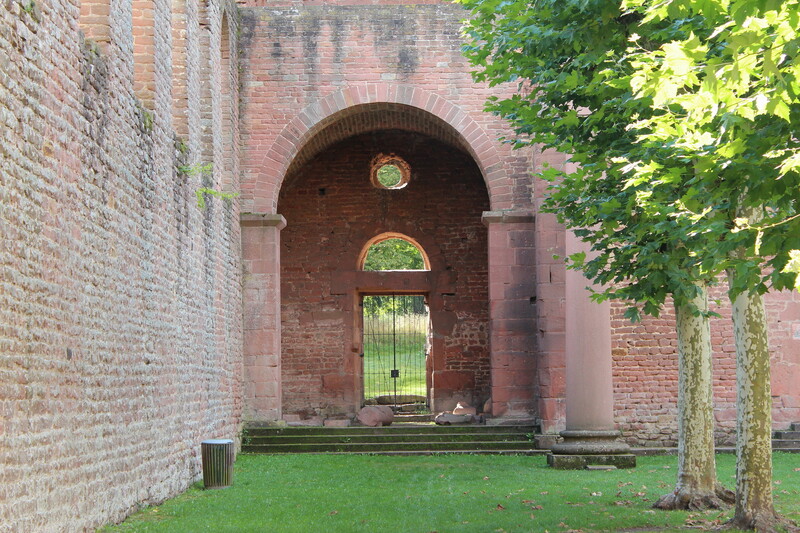 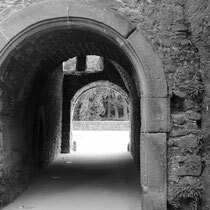 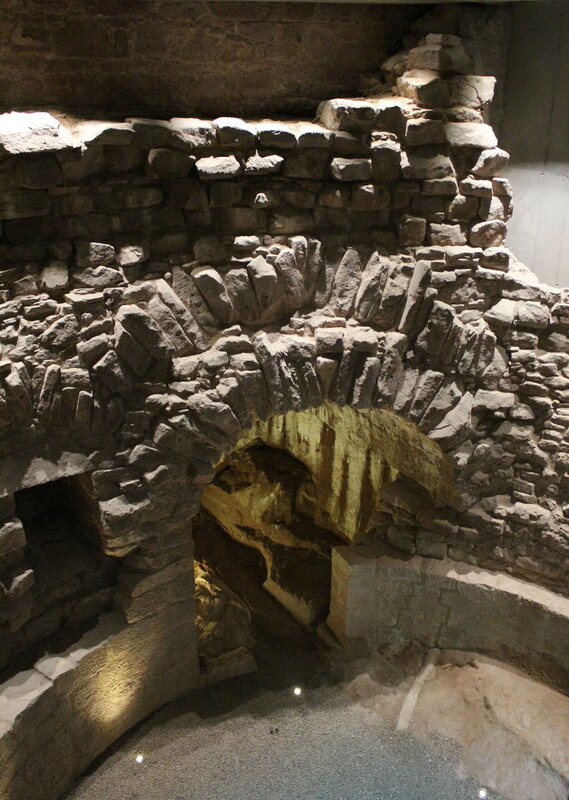 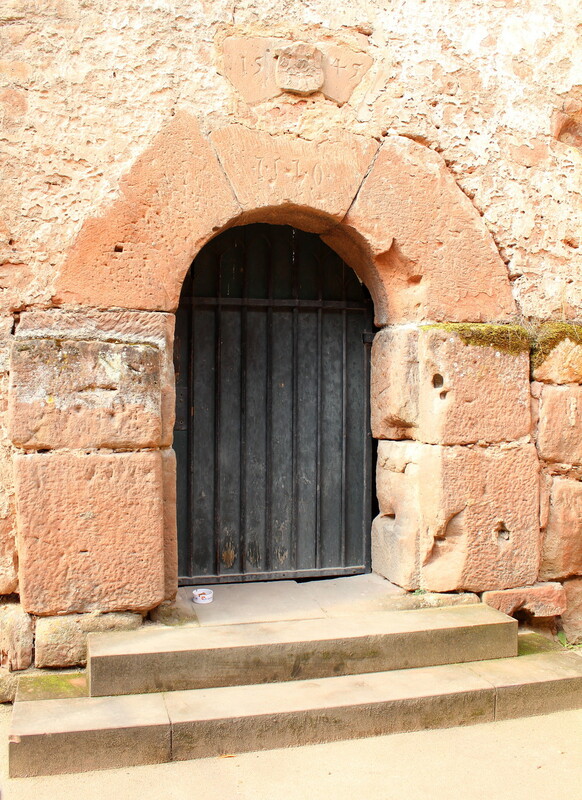 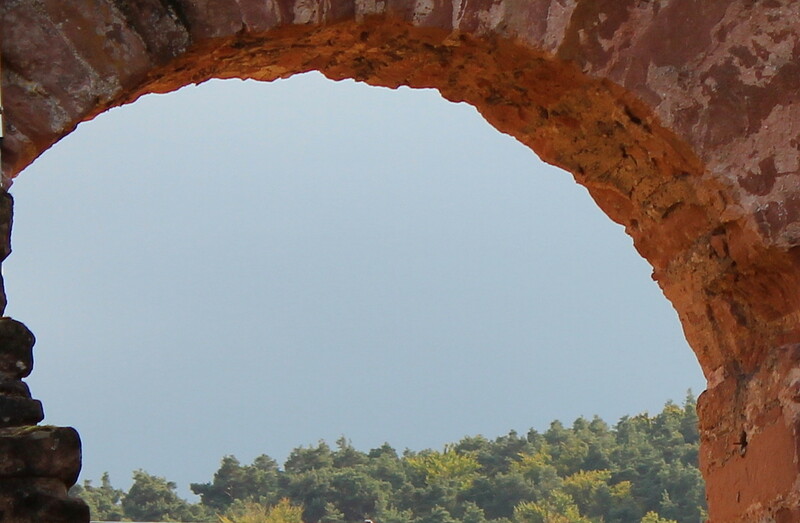 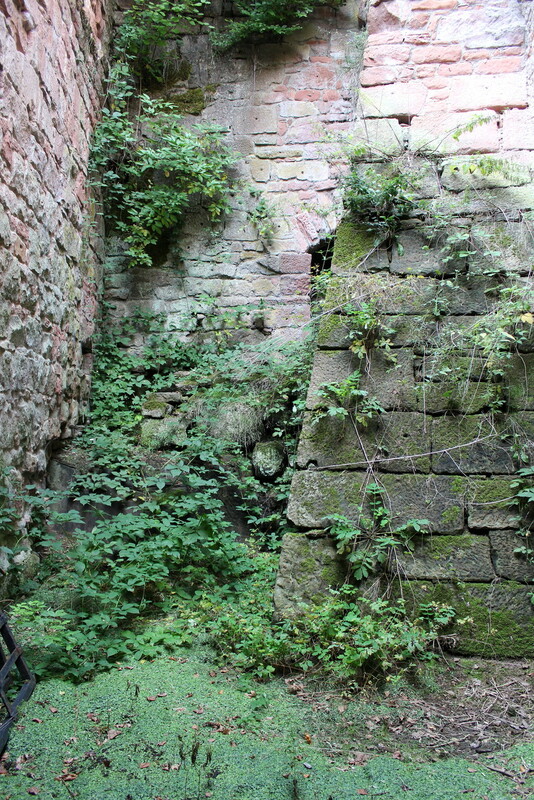 The entrance to the castle ruins leads through a stone arc. 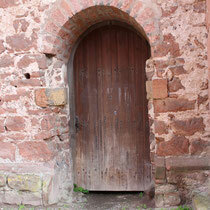 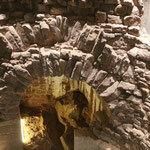 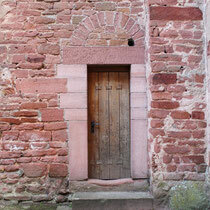 In the middle of the passage there is a barred doorway - maybe leading down to a dungeon? 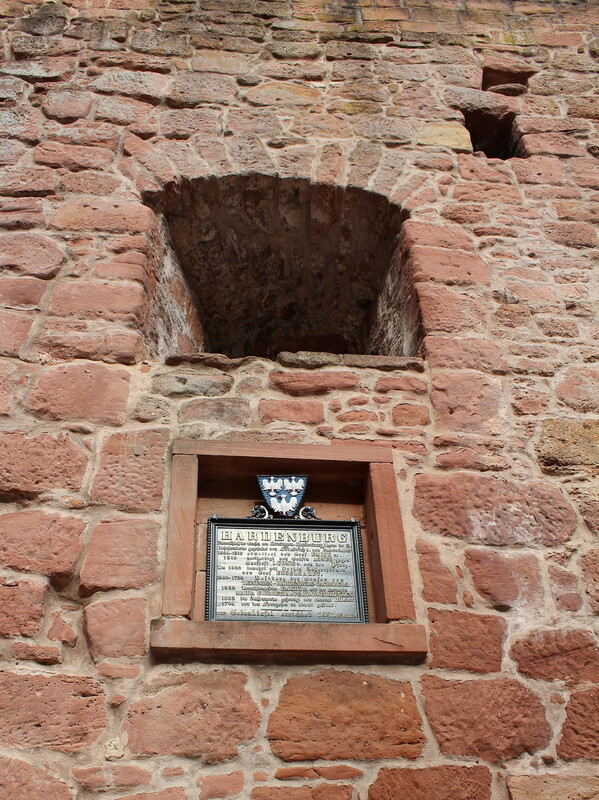 Just outside again there is the plaque and the coat of arms of the Hardenburg. 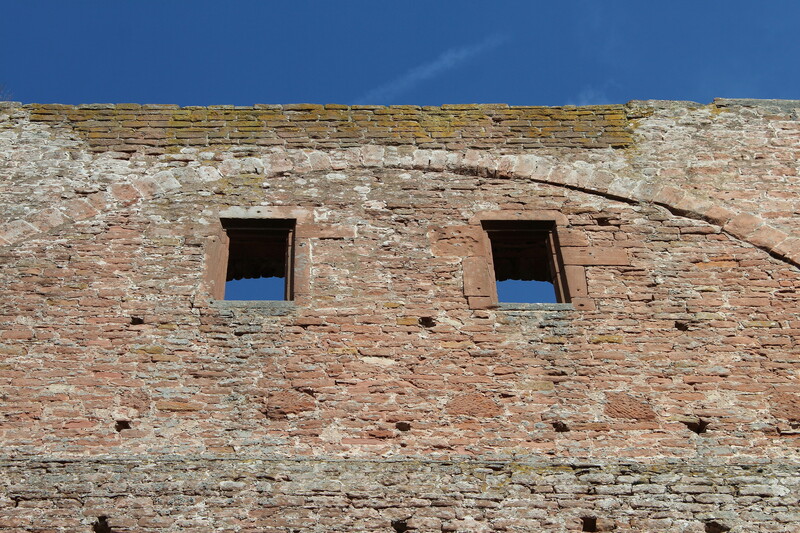 Inside there are remnants of the old tower that have been strengthened by concrete and now show savely how amazingly strong the walls really were. 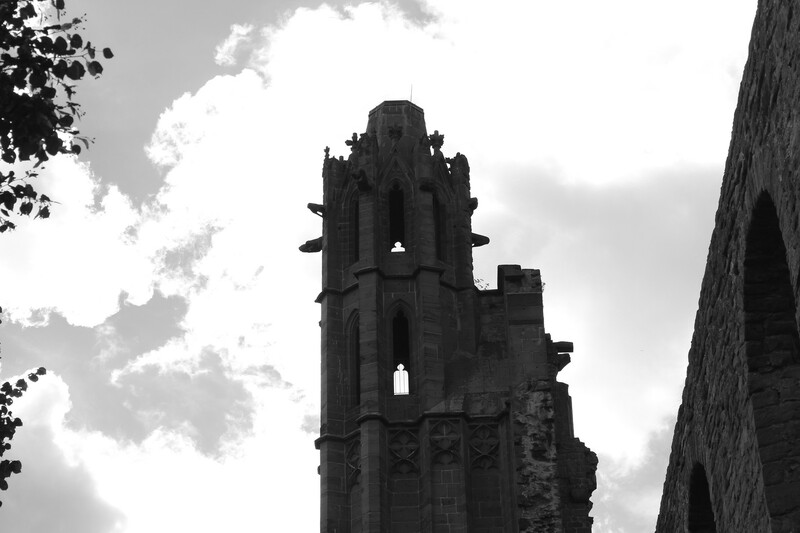 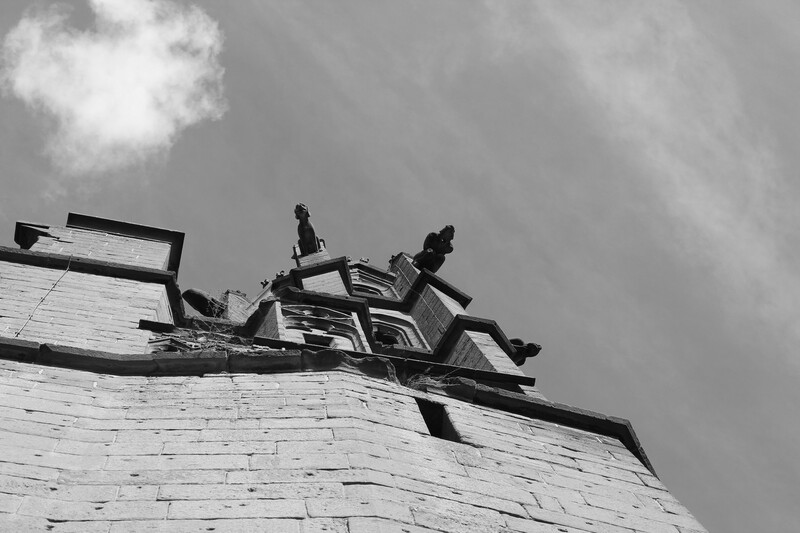 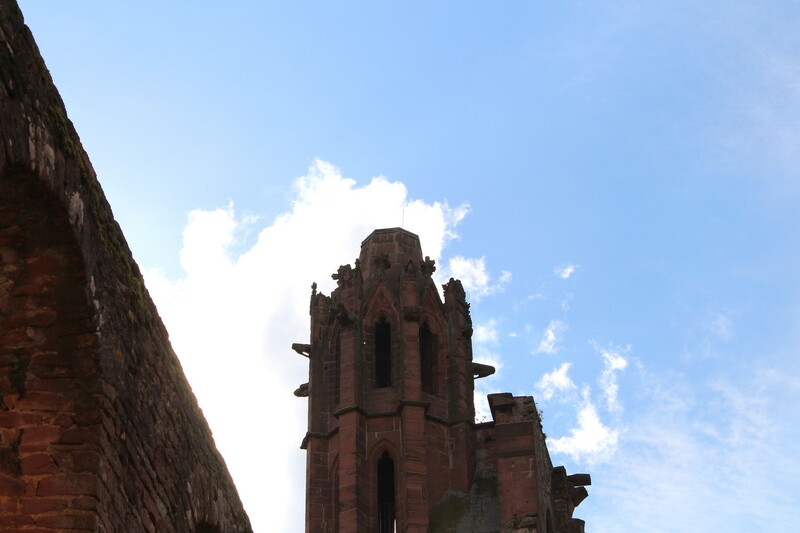 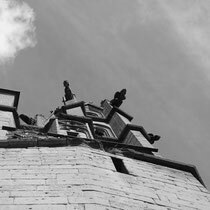 On the rooftop of that rebuilt tower you can see one of the ruins' towers as well as the stark contrast between new and old stones. 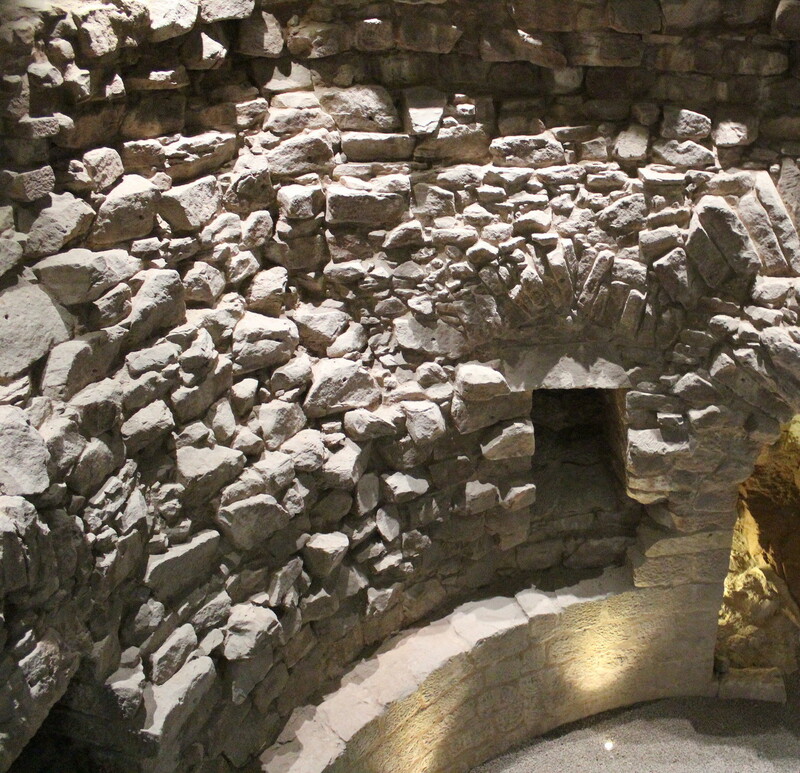 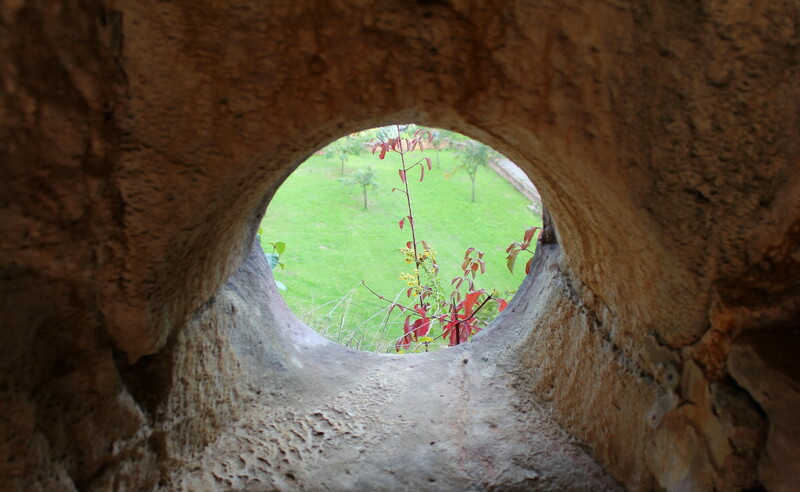 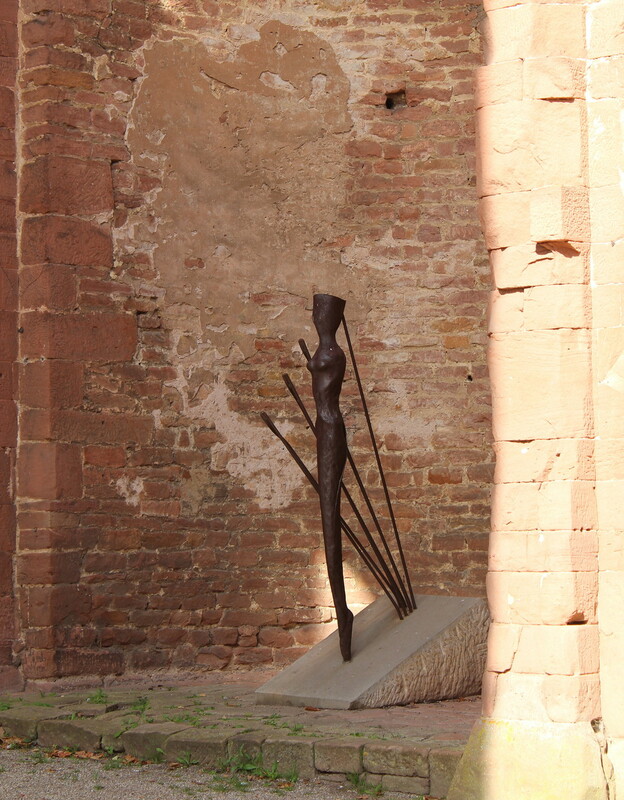 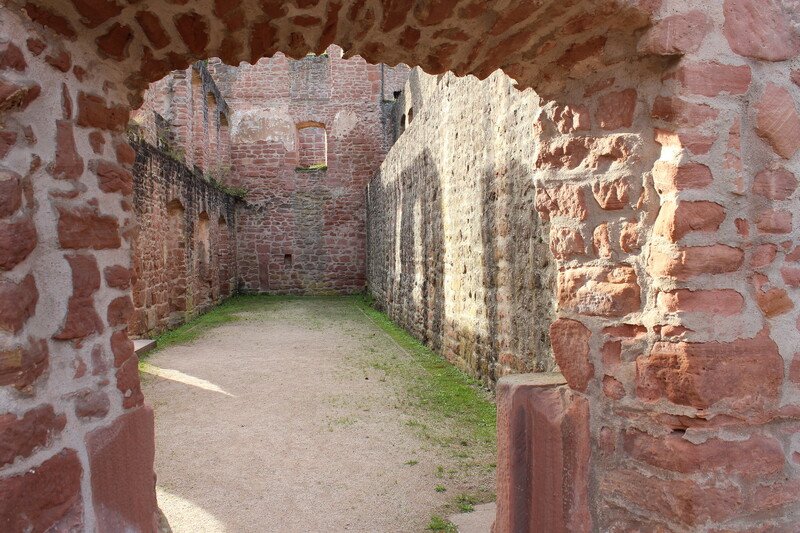 The passage to the inner courtyard. 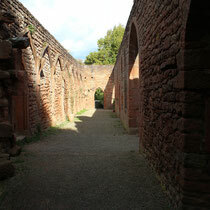 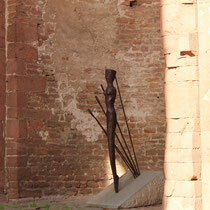 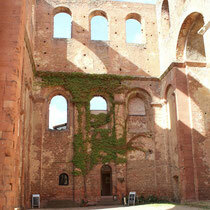 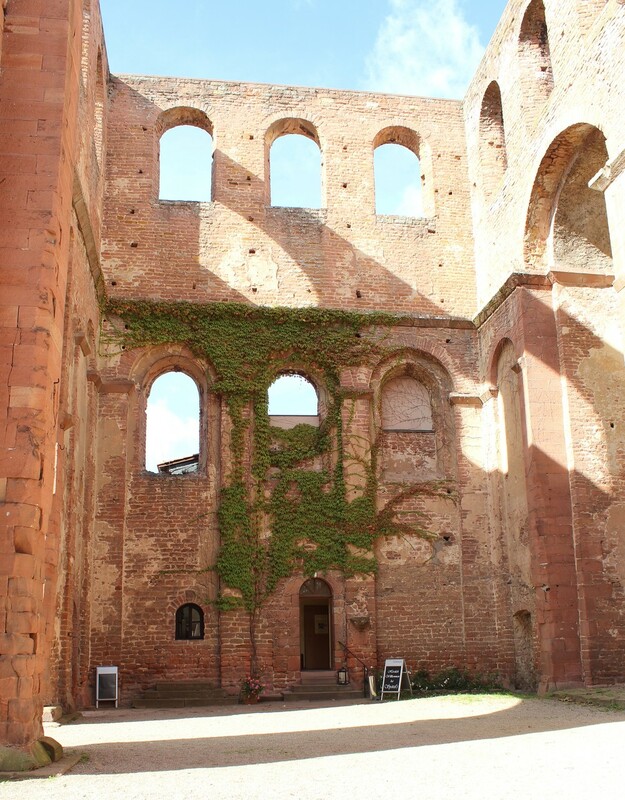 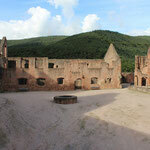 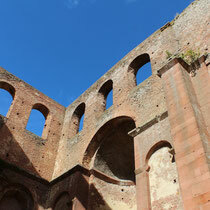 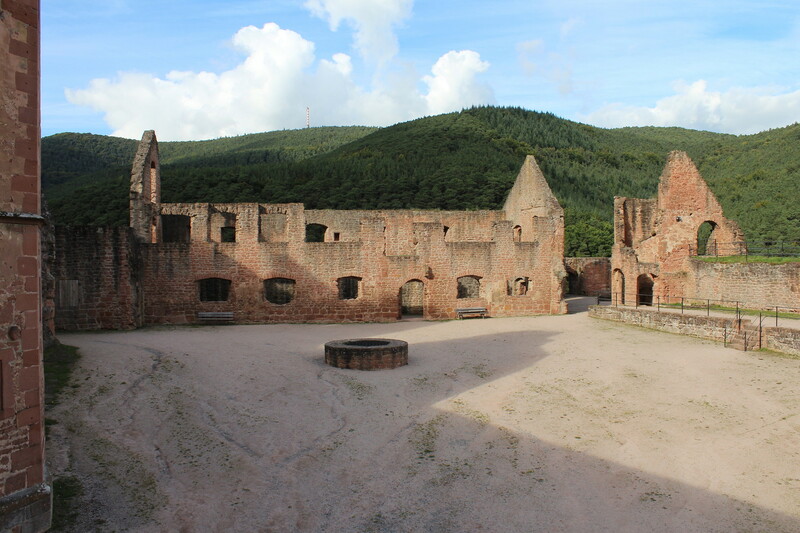 The sights in the inner courtyard are really nice and one can well imagine how the life back then must have been. 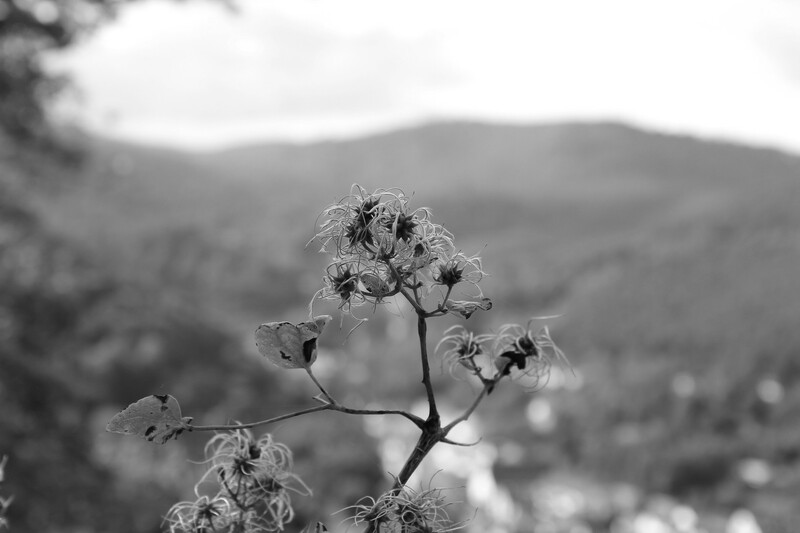 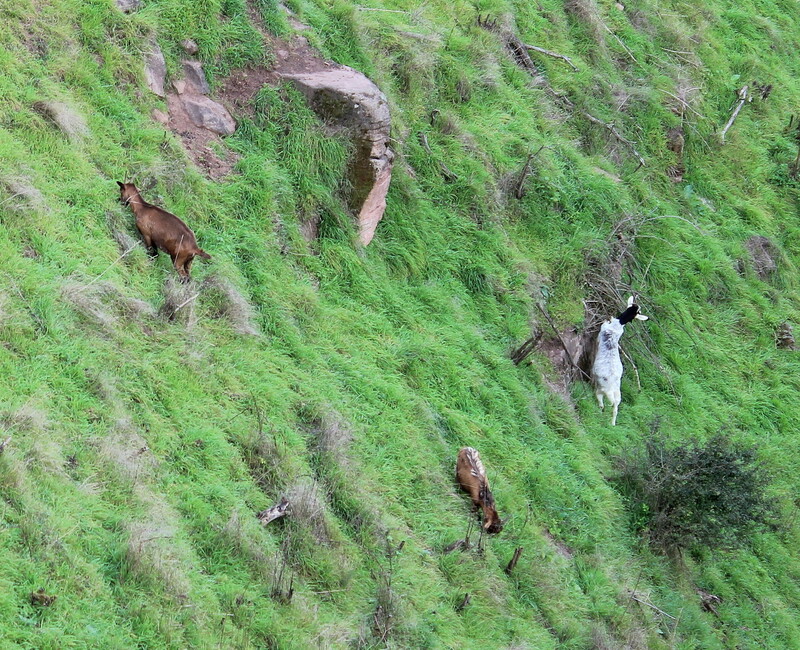 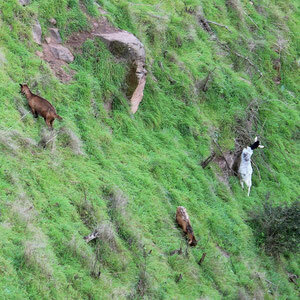 The gardening on the steep slopes is done by goats. 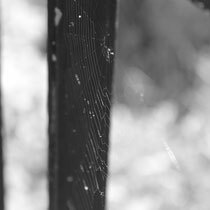 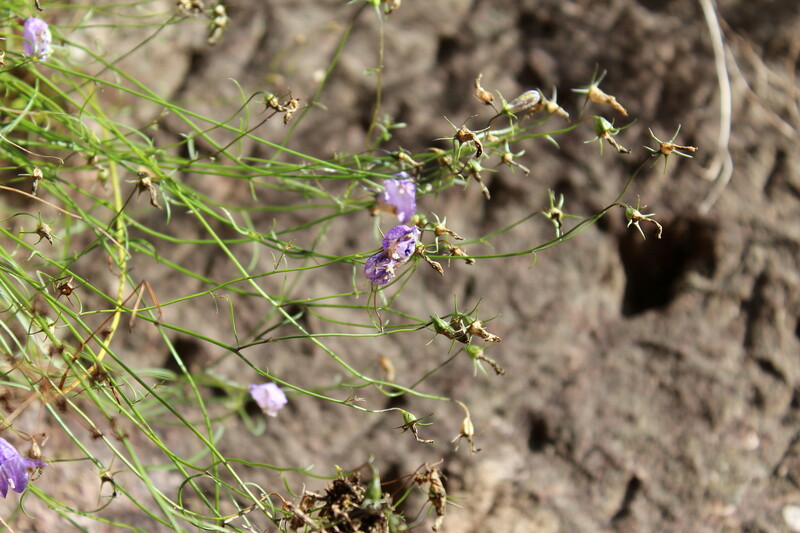 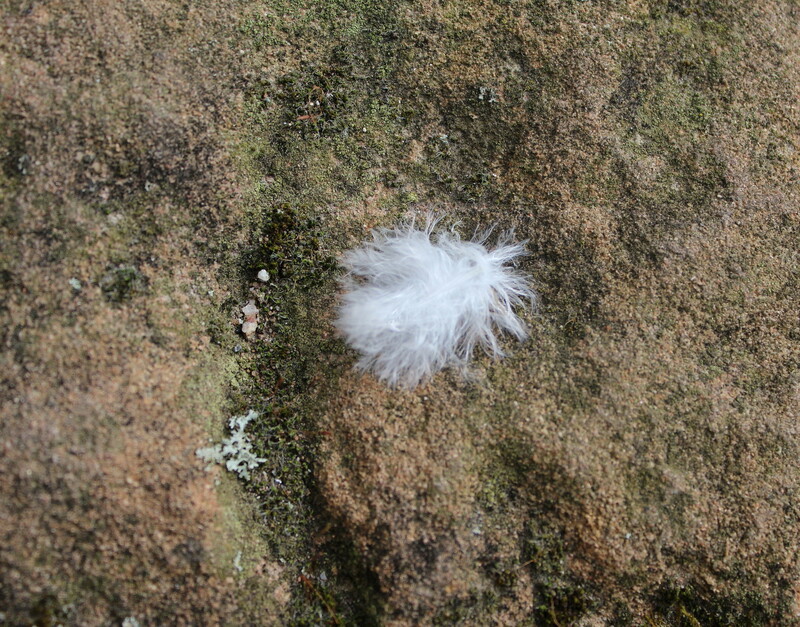 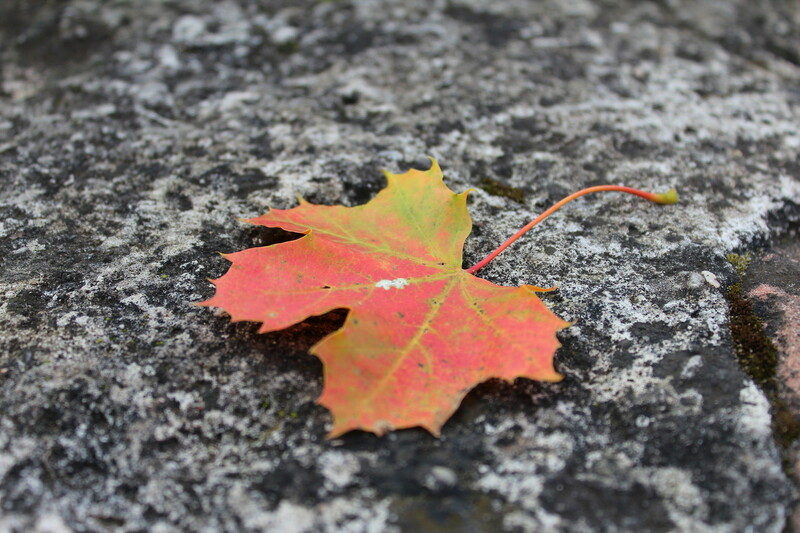 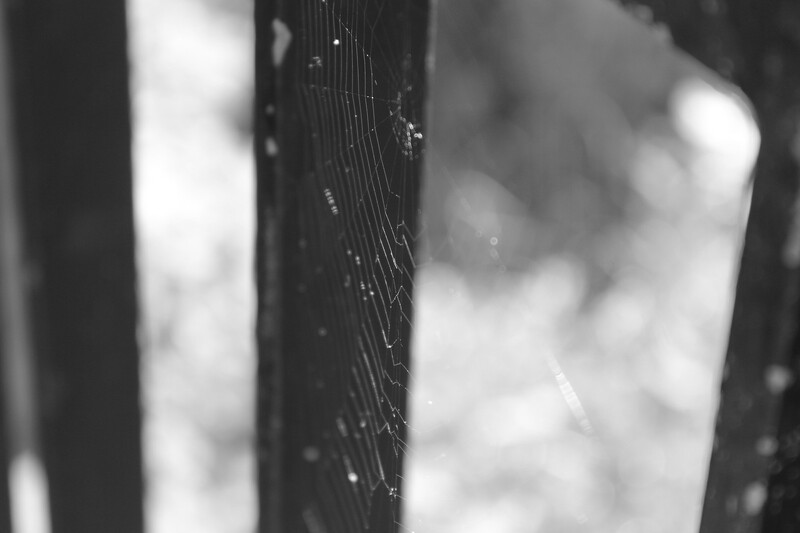 Random things I saw around the ruins. 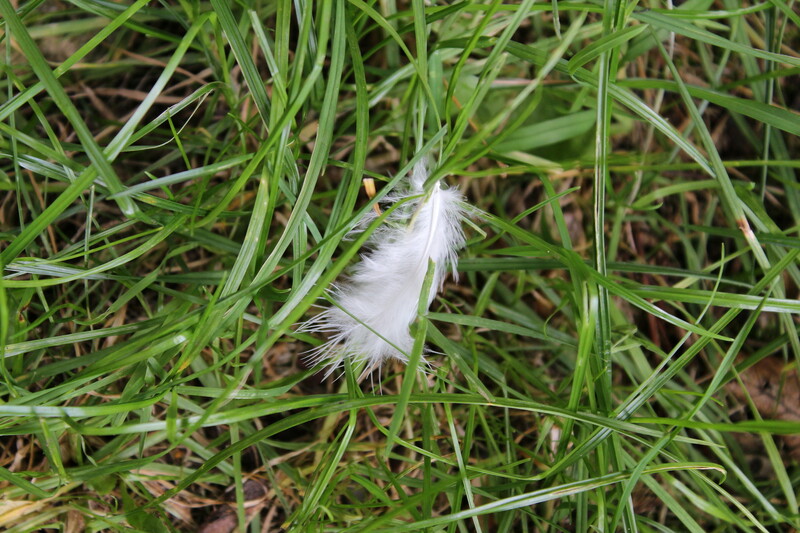 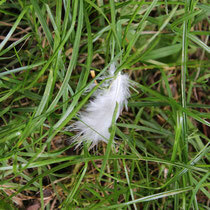 The last thing I saw before leaving was ... the Easter bunny?! 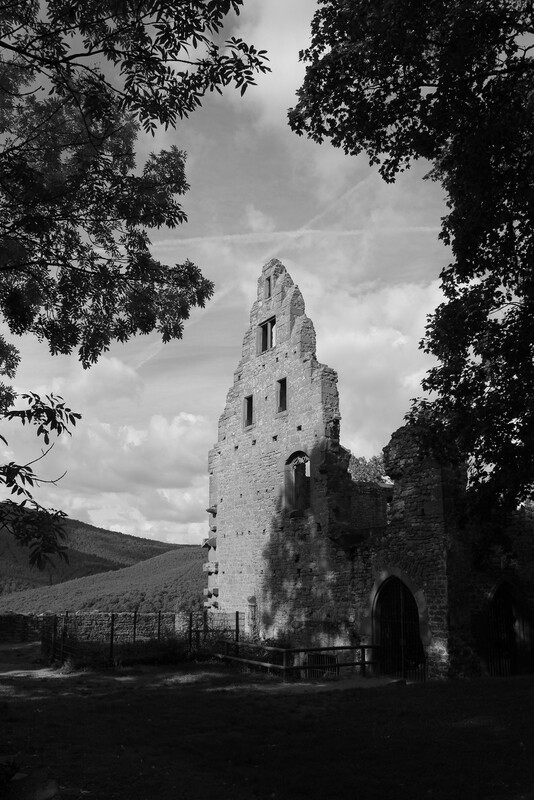 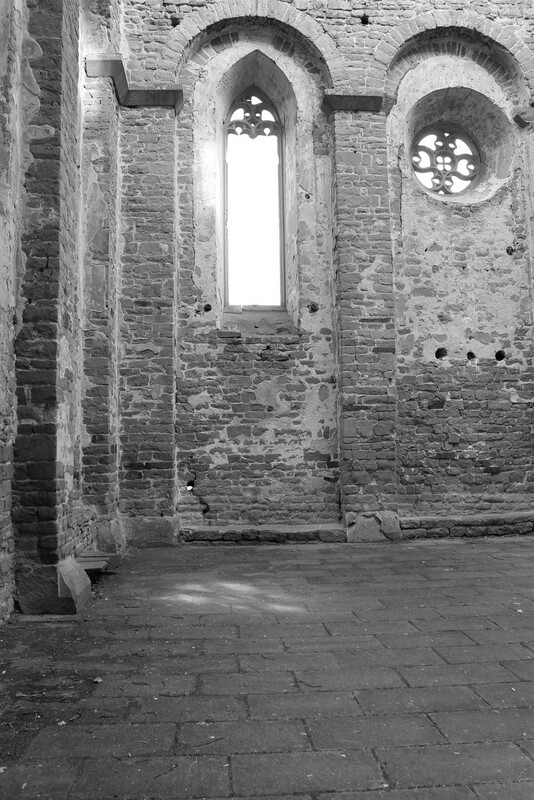 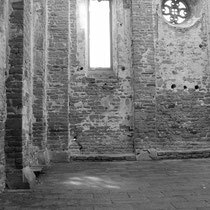 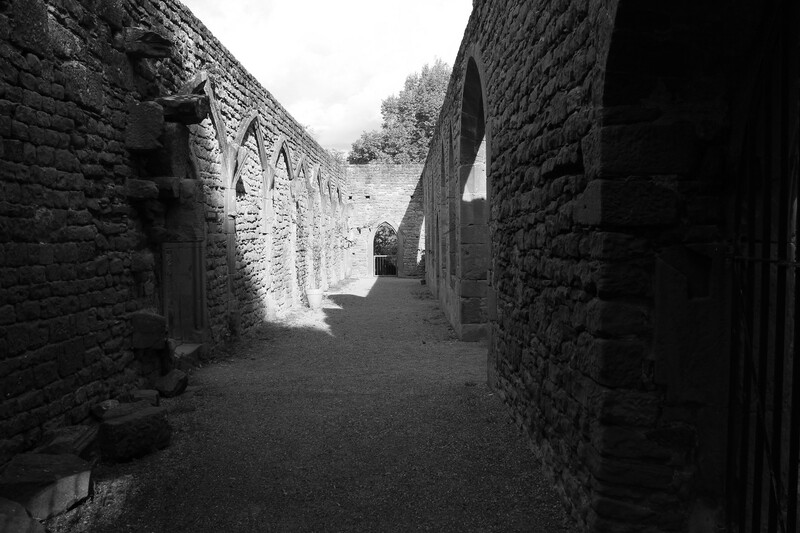 I love the mood black and white gives pictures of ruins. 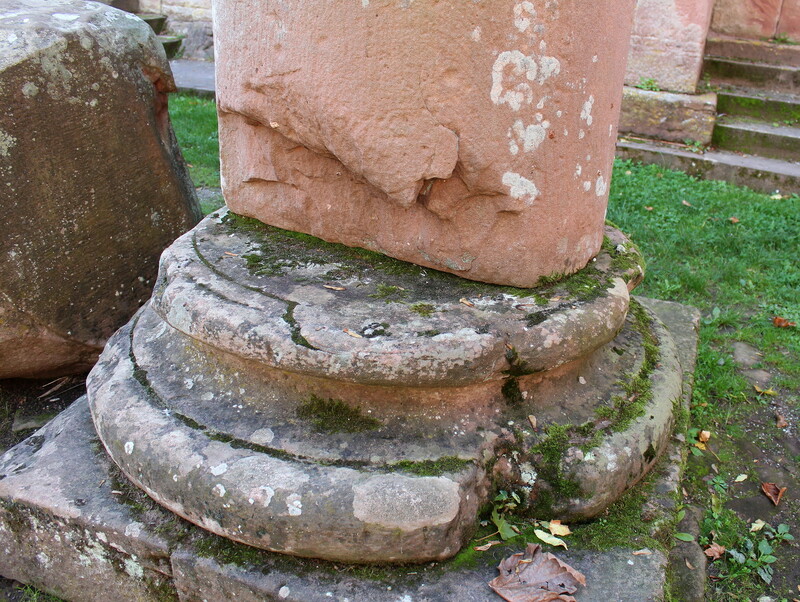 The stark contrast of the old stones is sometimes quite dramatic, at others it brings out details that were hidden in the color pics.